If we're 'curing' Alzheimer's disease, can we 'solve' delayed discharges too? 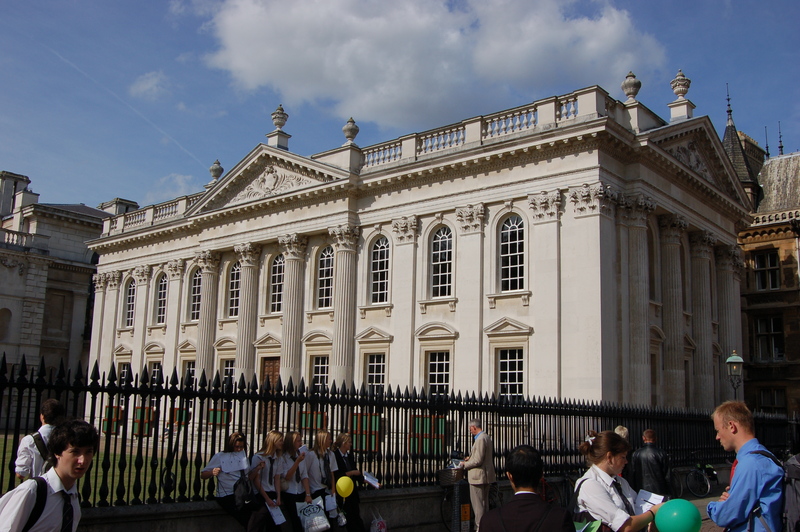 The famous ‘Two cultures’ speech was delivered in 1959 at the Senatre House in Cambridge by CP Snow, controversially on the growing schism (growing since the Industrial Revolution, at least) between the arts and sciences. Coincidentally, 37 years later, I did finals in the same location in neuroscience for my Bachelor of Arts degree, with a mind to do a PhD in young onset dementia at Cambridge (which I then did). I was really struck by the “two cultures” yesterday. In an ideal world, we shouldn’t have to fight about it – but as some will tell you on one particular political side, money does not grow on trees, but curiously there always seems to be enough money for certain types of research. I found the Horizon programme on a cure for dementia good in as far as it went. 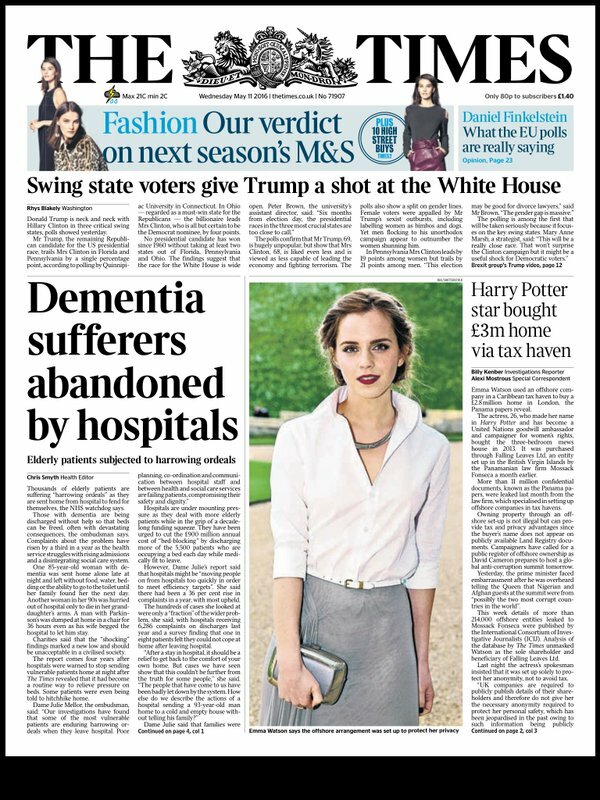 It wasn’t really on a cure for dementia, but mainly an advert for some grant programmes in biomedical research in Alzheimer’s disease. Nick Fox, now a Professor at Queen Square and Director of the Dementia Research Centre there, but who was getting towards the end of his protracted time as Specialist Registrar to Prof Martin Rossor when I was a junior there, explained how voxel based morphometry (specialised brain scanning) could be used to confirm a case of posterior cortical atrophy, previously undiagnosed. The pitch though was entirely to miss the point. It would have been much more helpful to know what the precise rehabilitative offering for the patient with posterior cortical atrophy was – the patient himself described his own vision as “a jumble” in his own words. There was hurried talk of tau markers in the cerebrospinal fluid. But a lumbar puncture is an invasive procedure. And a cure which could stop the building up of toxic tau would have been useful to discuss, but Fox totally skirted around what the benefit of his hard won diagnosis was. If you take the view that the precise name of the dementia is relevant, but the dementia is merely a pathological description of a buildup of tau in the brain somewhere, that helps you with your sledgehammer approach of taking an anti-tau drug forward. Then it means Fox should have entered into some sort of debate as to whether we are all ‘tauopathies’ now, ranging from Alzheimer’s disease, to frontotemporal dementia or posterior cortical atrophy. Does this make the underlying genetic basis irrelevant? I think somewhat the arguments that posterior cortical atrophy is a variant of Alzheimer’s disease have always been rather anaemic, without reference to why there is such selective neuronal degeneration in the visual parts of the brain, and without reference to the underlying commonalities in genetics basis. But the problem for Fox with his ‘dementia can be spotted now a decade before symptoms approach’ is the lack of answer to what proportion of people with slightly aberrant brain scans or markers, at what time, would be taken forward for a possible therapeutic treatment. 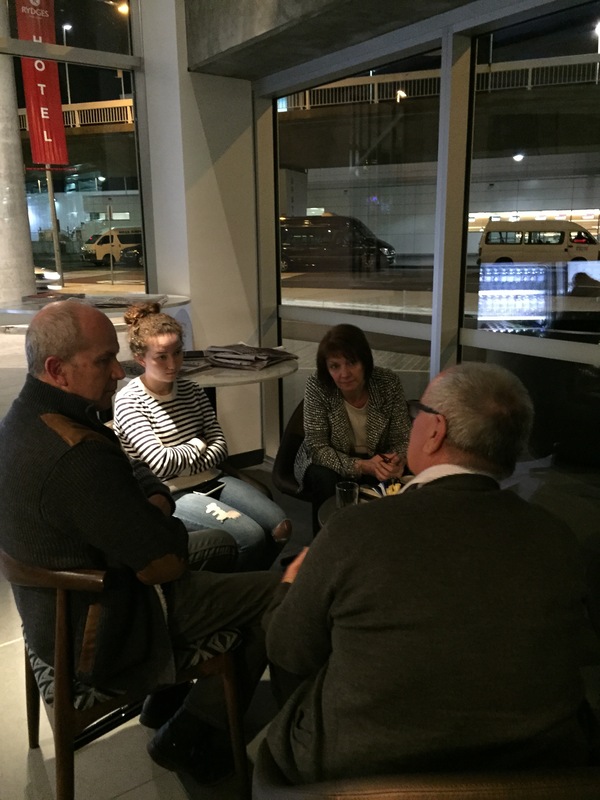 We saw elsewhere a different person, made patient, through apolipoprotein genotyping, who had become quite distressed about the lack of genetic counselling. The actual situation for Fox is that there are hundreds or thousands of neurologists or general medics who do not even know what the clinical presentation of posterior cortical atrophy is, so it is no wonder that such patients both here and abroad get taken round the houses, invariably through an ophthalmologist or eye clinic, over years, prior to a diagnosis. The programme was predictably full of ‘sufferers’ and ‘devastating’, shock doctrine stuff, rather than ANY acknowledgement of any people with dementia leading fulfilling lives. I don’t have any ideological problem with people crying on TV as it represents an authentic emotion. The narrative however was fraudulently set up as an epidemic of dementia – despite the fact it is now widely conceded that the prevalence of dementia is falling – and here’s the sunny uplands of cure to solve everything. It was good to see cognitive neurorehabilitation get a mention though, even though it was essentially bordering on window dressing. Quality of care research would be desirable too, as well as good quality of life research. This was yesterday’s headline in the Times. The problem was made more graphic with genuinely horrific stories from the Health Ombudsman’s report on poor quality of elderly hospital care, focusing on delayed discharges. But the data hailed from 2014/5, that’s a good two or three years after the Prime Minister’s Dementia Challenge, one year prior to the Prime Minister claiming he wanted the UK to be ‘the best country to have dementia in by 2020’ in a completely deluded manner, with social care funding on its knees. The social model of disability correctly admonishes calling all people with dementia as ‘sufferers’ or ‘victims’, but rather holds them to be active participants in citizenship with fundamental human rights, such as a right to dignity. And yet another costly report has shown what we knew already – of people languishing stuck in hospital, who cannot be discharged. We knew all this prior to the last general election too. People have sadly suffered at the hands of the NHS and social care due to mismanagement. Don’t get me wrong. Biomedical research is important. I followed the tweets from the British Geriatrics Society conference, and one of the tweets involved somebody with dementia who had entered into a coma due to a drug prescribed for delirium. This example shows why it does matter to diagnose some types of dementia (diffuse Lewy Body disease), and the need for clinicians to recognise delirium superimposed on dementia. A cure for dementia before the onset of symptoms would be remarkable, especially for some rarer young people who face a near-certain likelihood of developing one of the strongly inherited dementias. 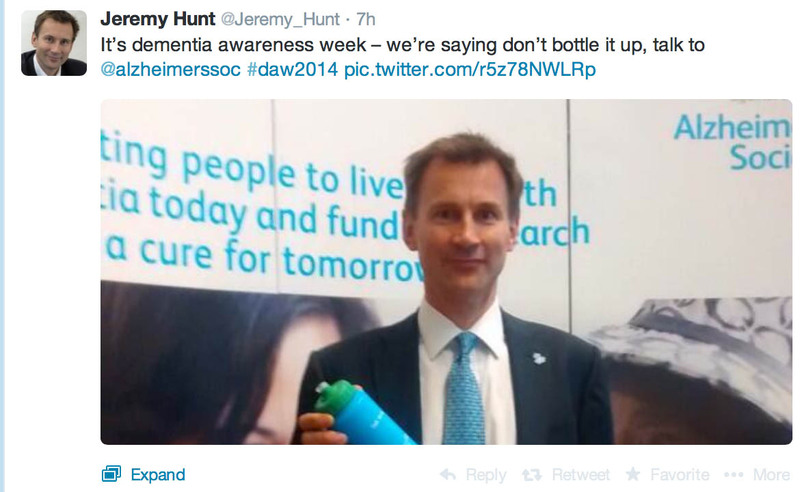 But we DO need to face facts, Dementia Awareness Week or otherwise, surely? If we’re ‘curing’ dementia really by focusing on a handful of manageable subtypes such as familial Alzheimer’s disease only, can we ‘solve’ inequitable delayed discharges too for an increasing number facing Jeremy Hunt’s NHS? Here is the list of speakers for my night! Sharon Shoesmith (Researcher, Writer, Public Speaker). There will be pizzas on the night for anyone wondering about food and refreshments will be free – wine, snacks, tea and coffee. That should keep the energy high. The line up (apart from me) is incredible. I do strongly urge you to come if you’re around and you’re interested in the topic of continuing to pursue research and evidence to better practice. I hope there to be much much engagement and participation for my talk, aimed at qualified social workers or social workers in training. 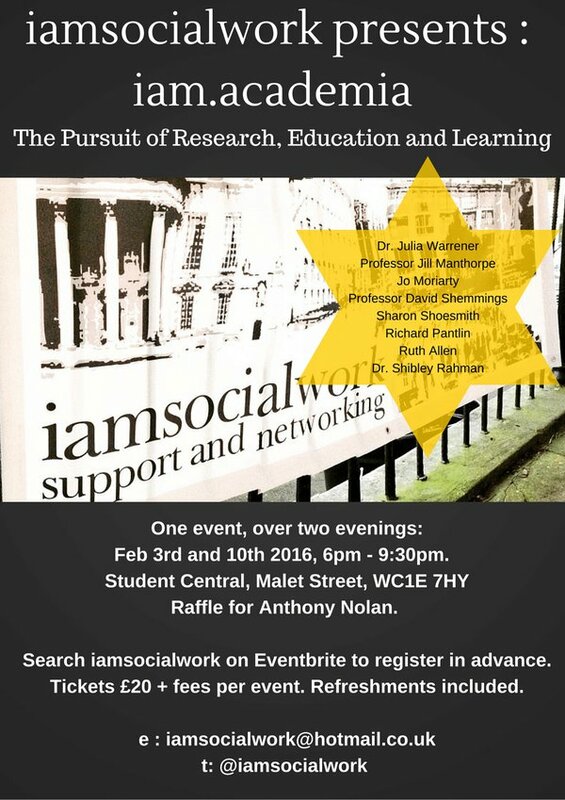 Please follow the organiser Zoe Betts (@iamsocialcare). Zoe’s motivation for doing this is described here in this excellent Community Care article. The mood music is changing. We’ve had circular discussions on ‘suffering’ before, to the point we probably agree to disagree, but have learnt to respect other people’s well meant perspectives. But I think it’s fair to say that the happiness and camaraderie which accompanied #ADI2015 is a very real one. I took this photo at a chocolate factory in Adelaide Hills. 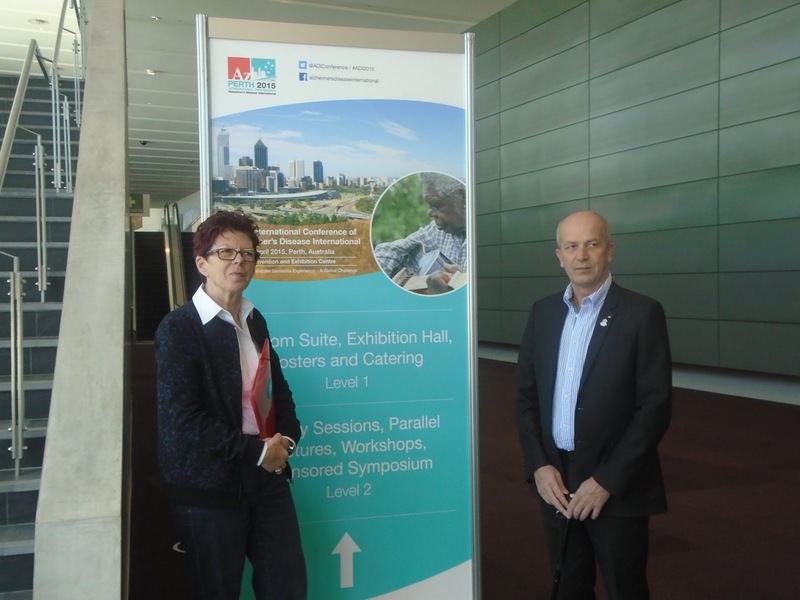 Nutrition and dementia, as it happens, was a key satellite theme of the #ADI2015. Here’s a film by Arc Seven Communications of Beth Britton explaining the need to consider what people with dementia can do. 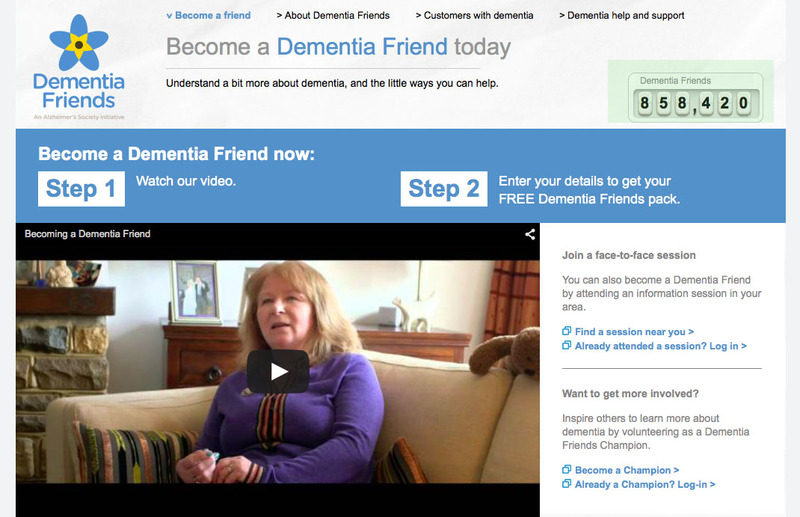 Living well with dementia from Arc Seven on Vimeo. 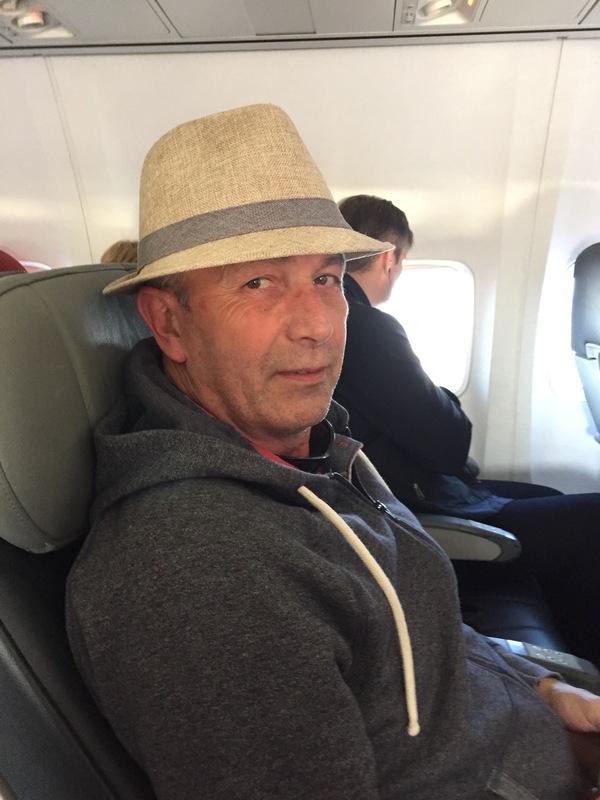 As it happened precisely on the day of our return, as I was travelling from Kuala Lumpur to Amsterdam, Australia aired a brilliant programme ‘Insight’ on living with dementia. It had been a huge pleasure to have returned from spending time with Kate Swaffer, Peter Watt and Colin McDonnell who all featured in this remarkable programme. 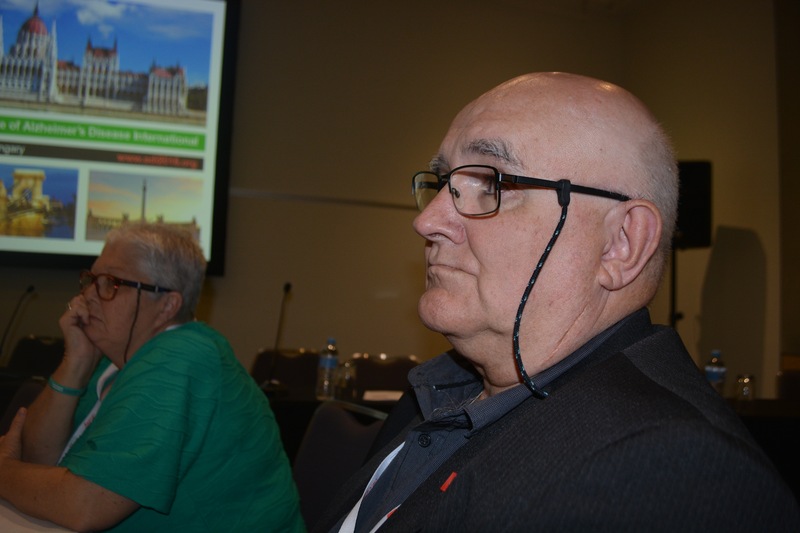 In place of fear, I felt a substantial integrity was provided by having so many delegates living with dementia attend this year’s Alzheimer’s Disease International (ADI, @AlzDisInt) conference. 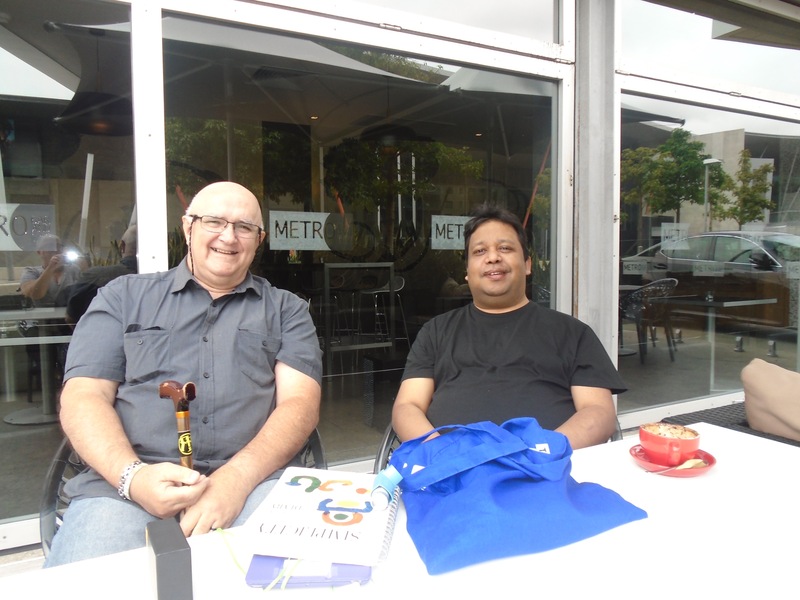 We met up in Perth, Western Australia, in the middle of April, for three wonderful days. 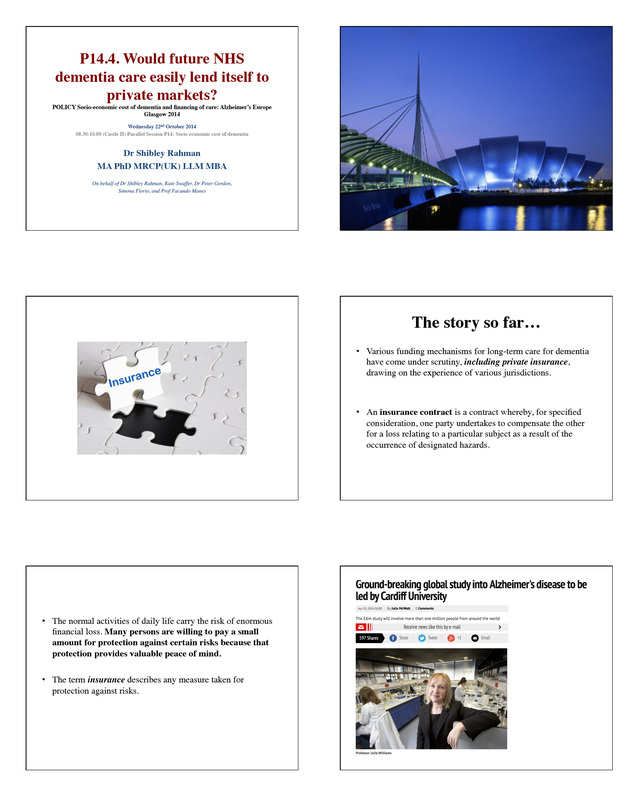 My talk was on whether dementia care would easily lend itself to private markets. 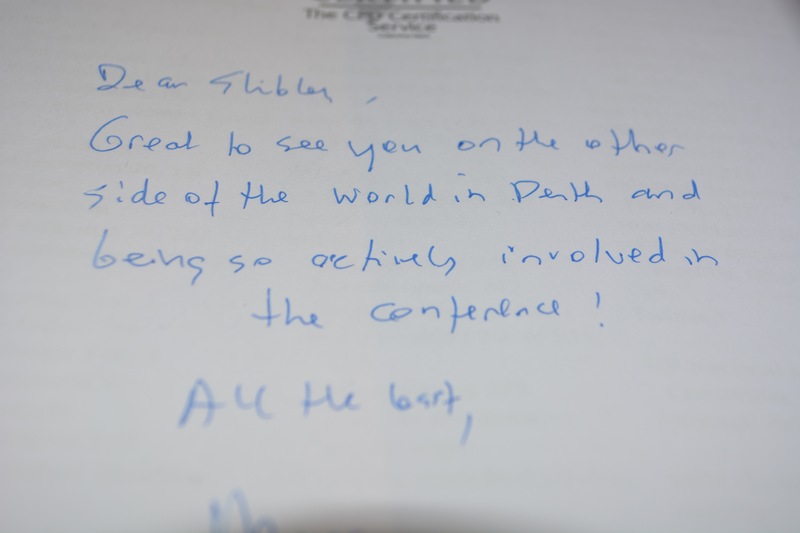 I received a lot of useful feedback from delegates. I basically pointed out the problems of trying to put dementia care under the philosophy of insurance contracts because of the potential asymmetry in information between insurer and person/patient. This information asymmetry, I argued, could come from, say, a complete genetic screen, if NHS England get their way in moving towards personalised medicine/Big Pharma. The problems arise if someone with a high genetic risk for dementia seeks insurance knowing he or she is at high or low risk; or whether a person obtains an insurance policy and then behaves in a high risk behaviour. I argued that it was likely that there would need to be legislation in the English jurisdiction to protect against genetic discrimination, as in the United States. However, I think I had most fun in the ‘poster session’, for me on Friday afternoon. 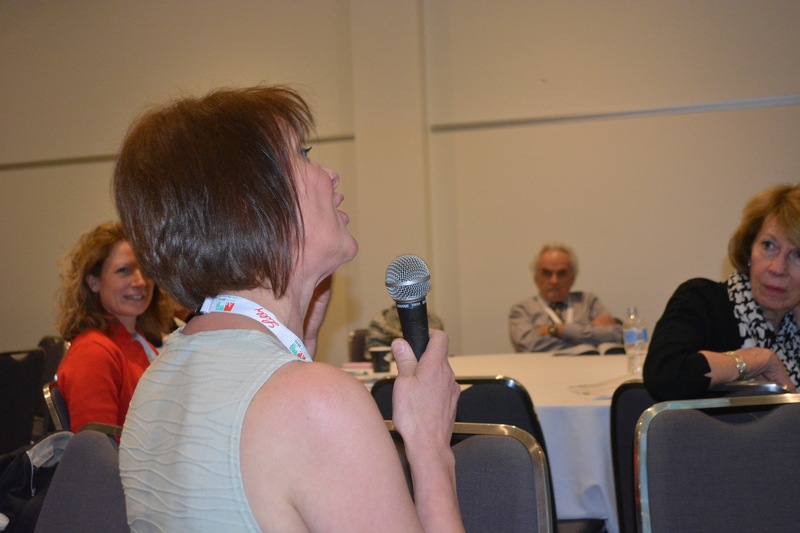 I had the unexpected pleasure of chatting with Karen Harrison Dening at my session, over the need for a network of national clinical nursing specialists. As it happens, Karen has just published a brilliant book on culture and dementia, which I strongly recommend. This was for me the most interesting poster of the whole conference – on challenging behaviours, by Kate. This blogpost explains its rationale in part. Even putting aside the general consensus that the dementias are under diagnosed in many jurisdictions, there’s a feeling that the recent scrutiny in dementia policy has overall helped. I was particularly impressed by the research presented by Prof Martin Prince on behalf of his group at King’s College London. I think Prof Prince has a clear understanding of the critical assumptions of his work, as you would expect him to have. I had a long chat with him after his lecture. 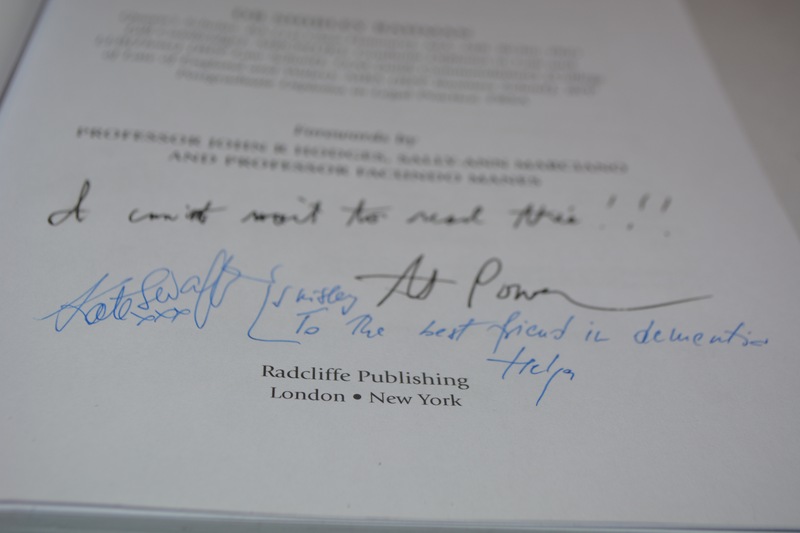 He struck me as a very sincere, thoughtful man, who was open to wider repercussions of his work. In particular, we shared a common interest in seeking accurate estimates for the global prevalence of younger onset dementia. The beginning of the conference (@ADIConference), I felt, was very surreal but pretty magical. 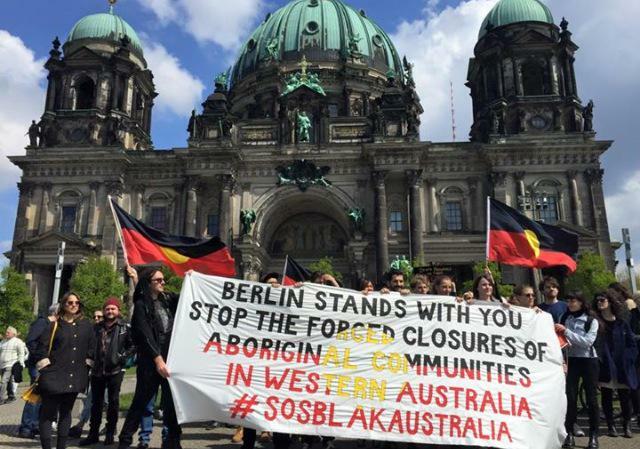 I don’t particularly like the word ‘indigineous’ as I feel Aborigines as it can further division and divide, and I feel that Aborigines have experienced a very bad deal culturally from others exerting racial and cultural imperialism. Here, I feel some of us must show some solidarity. I personally bought a didgeridoo which I gifted to my mother on return (although I am mindful of the physiological limitations of the use of didgeridoo as a musical instrument by females). I was surprised to hear that didgeridoos (sic) are not permitted in hand luggage, however. The conference itself was incredibly well organised. You can still access the book of abstracts for the conference here and wider information about the programme. 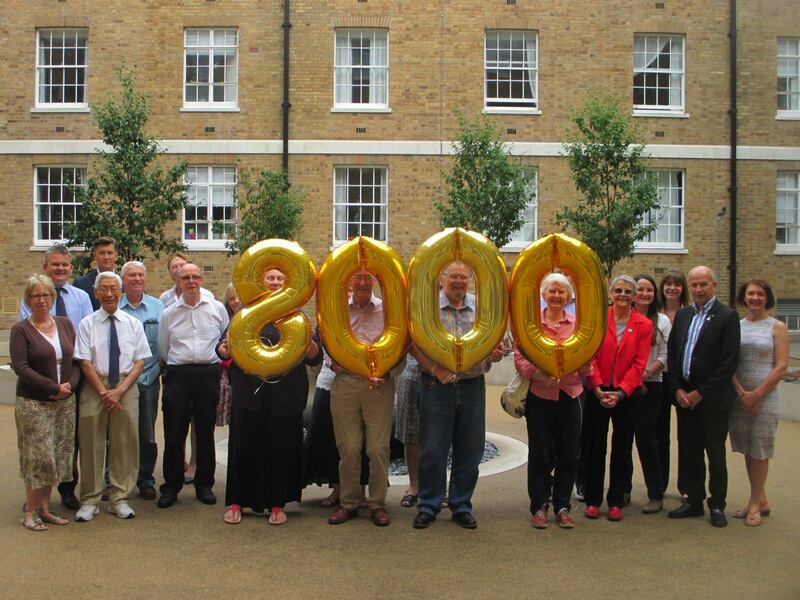 I helped to review abstracts for the conference; I was indeed on the international advisory board for the conference, so reviewed abstracts for dementia friendly communities and younger onset dementia. 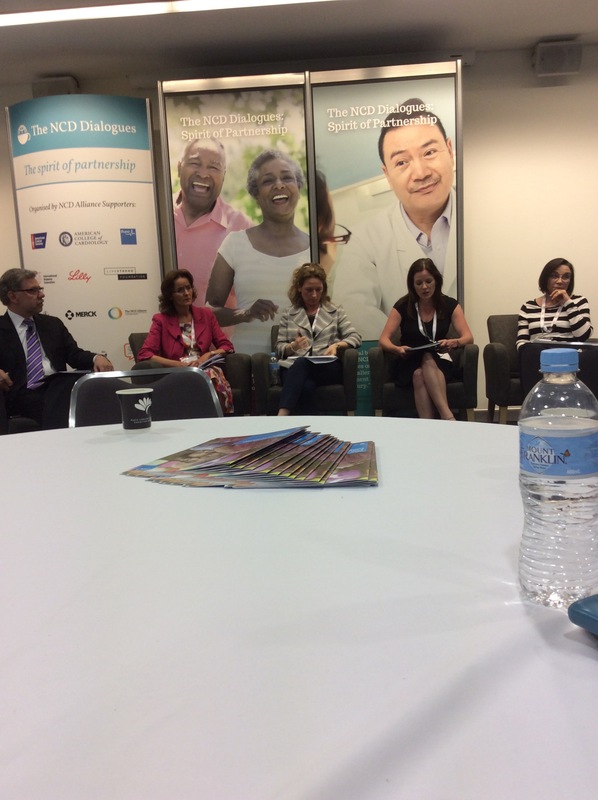 I am at the end of policy involved with living better with dementia, which includes advocacy across jurisdictions. I found an intense sense of hope and confidence from the conference, as opposed to the shock doctrine of Pharma which can be striking elsewhere in global policy on dementia. The “vanguards” of dementia advocacy, globally, one may argue, are Kate Swaffer from Australia and Helga Rohra from Germany. 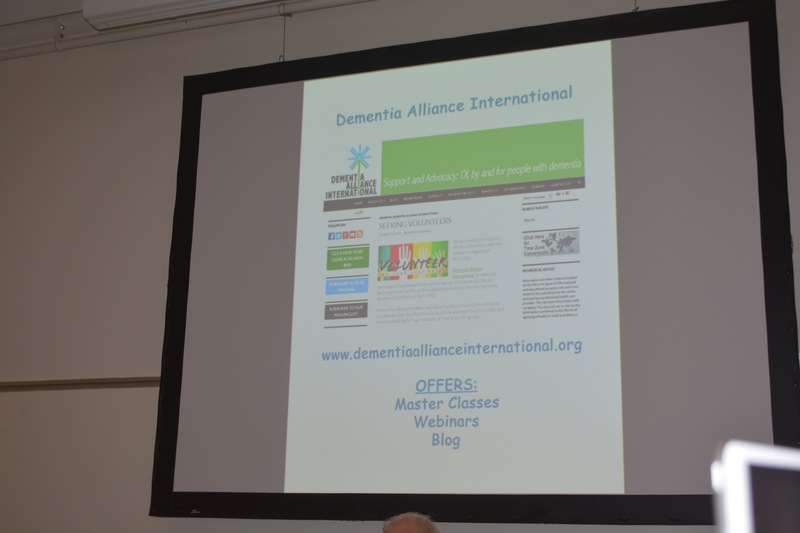 So it came to pass that we were all hugely proud when Kate Swaffer, Co-Chair of the Dementia Alliance International, a group consisting of people living with dementia, came to give her plenary. I understand that videos of talks given by members of the Dementia Alliance International will be uploaded onto their website in due course. Here’s for example Helga Rohra, Chair of the European Persons with Dementia, giving her plenary. 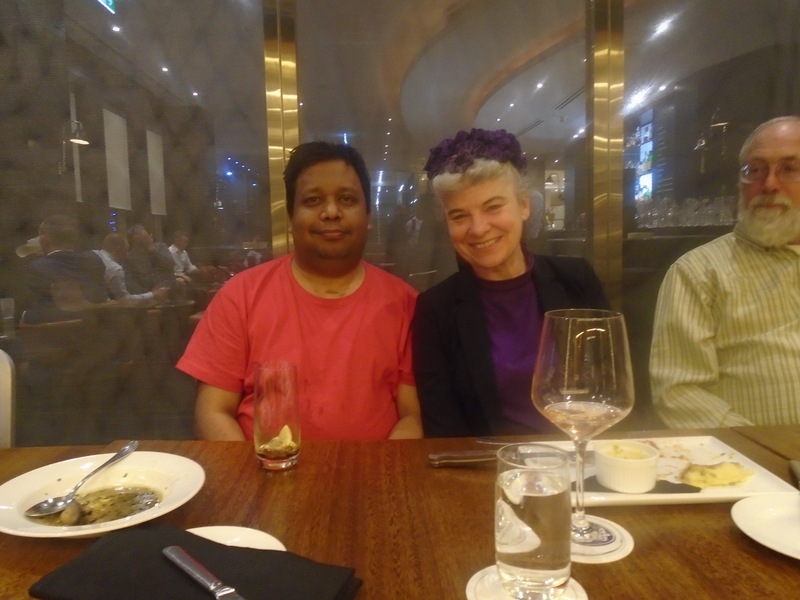 I was deeply honoured to be name-checked in her talk. Helga is a friend, and someone whom I deeply respect. One of the plenary speakers was Al Power (@alpower12), Allen Power. Basically, I thought Al is terrific. I have now read his book “Dementia beyond disease”, which I feel is a groundbreaking reframing of the narrative towards treating people living with dementia as individuals with dignity, and how they should not be the target of pejorative language or assault through inappropriate medication. I have known of Mick Carmody for ages. Mick has been instrumental in ‘rallying the troops’. 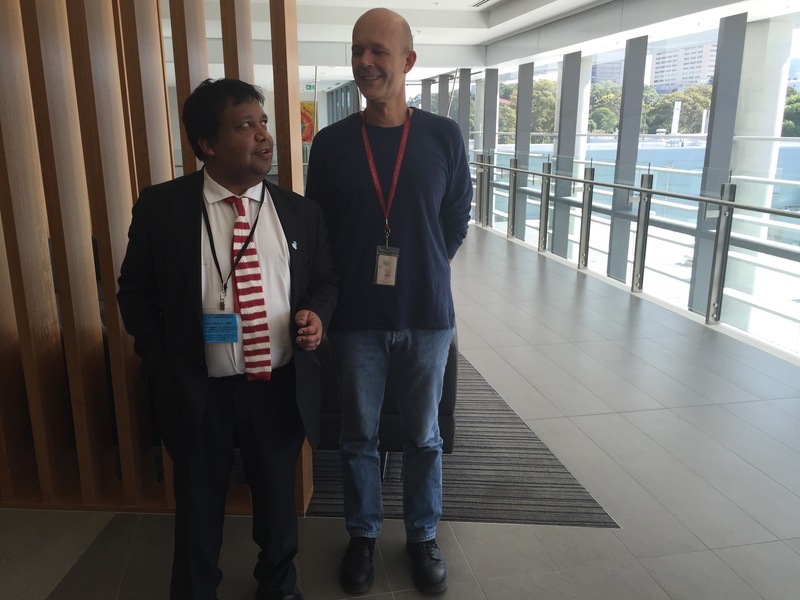 I anticipate that his enthusiasm and focus will lead to greater things in global advocacy. But I fell in love with Mick and his wife Sue from the moment I met them. 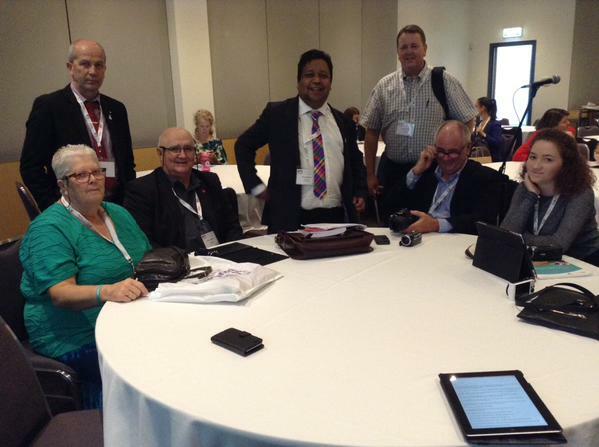 They’d come from Brisbane, Queensland, and were hugely thrilled about participating in an international conference on dementia. 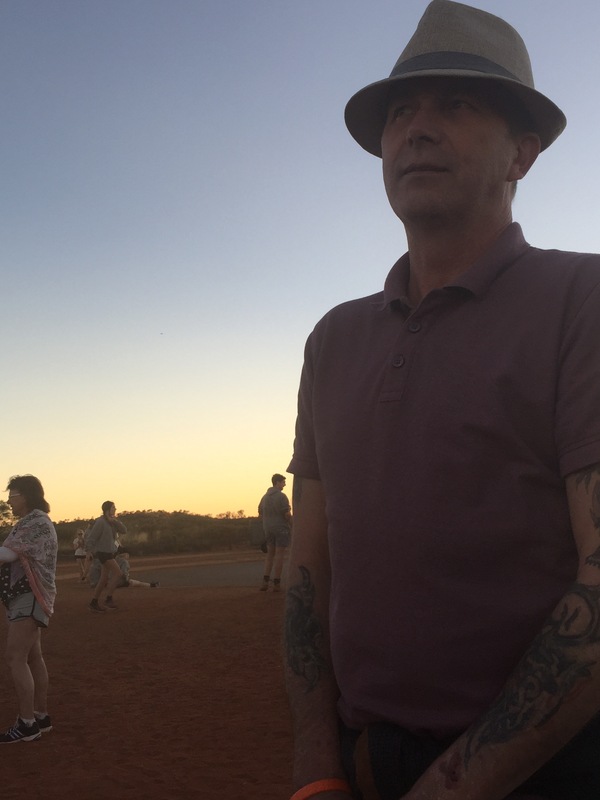 Mick lives with dementia in Australia, and, it’s fair to say, had not been given sufficient or appropriate encouragement, pursuant to diagnosis. What changed the game for him was finding the Dementia Alliance International. I am a card carrying member of the club that individuals who’ve been given a diagnosis of dementia are all unique individuals with a huge amount of experiences, and it’s not what people cannot do, as with us all, but what people can do. Here are Helga Rohra and Chris Roberts, powerful Dementia Friends Champion ambassador for the United Kingdom, as described here in the popular Alzheimer’s Society magazine “Living with dementia”. Helga is simply larger than life, and I found many things Helga shared with me profoundly interesting. Society has come a long way, but there’s still a long way to go. Helga, I suspect, speaks up for a vast army of people who’ve been given a diagnosis as part of a large social movement, expecting dignity, acknowledgement of human rights, expecting improved employment relations post diagnosis, and calling for holistic care. 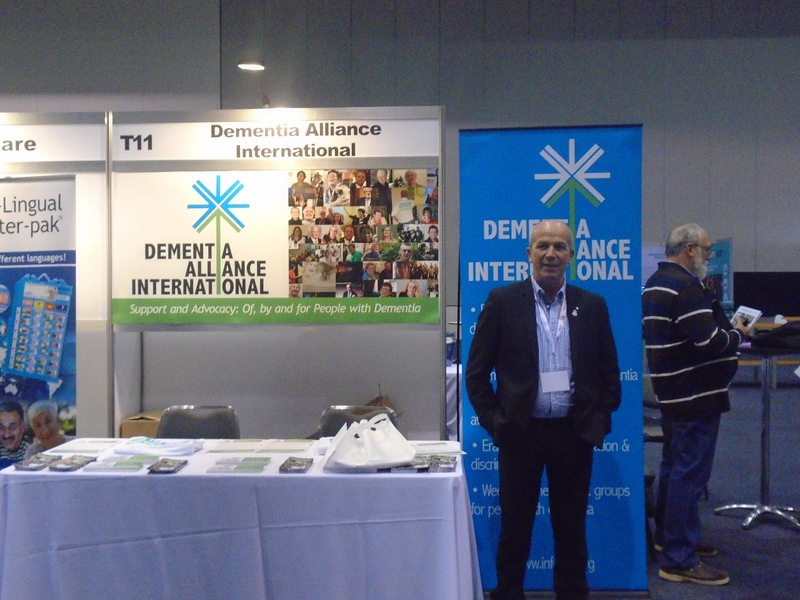 The #ADI2015 was simply triumphant for the Dementia Alliance International. I think part of this confidence has come from the new strategic alliance with the Alzheimer’s Disease International organisation, which has supported DAI, but gone to great lengths to preserve the autonomy of DAI. This brand new arrangement is described in a recent ADI “Global perspective” newsletter. Credit must be given to Kate Swaffer (@KateSwaffer) and Marc Wortmann (@marcwort), CEO of ADI, who, I feel, have been instrumental in making this vaguely possible. 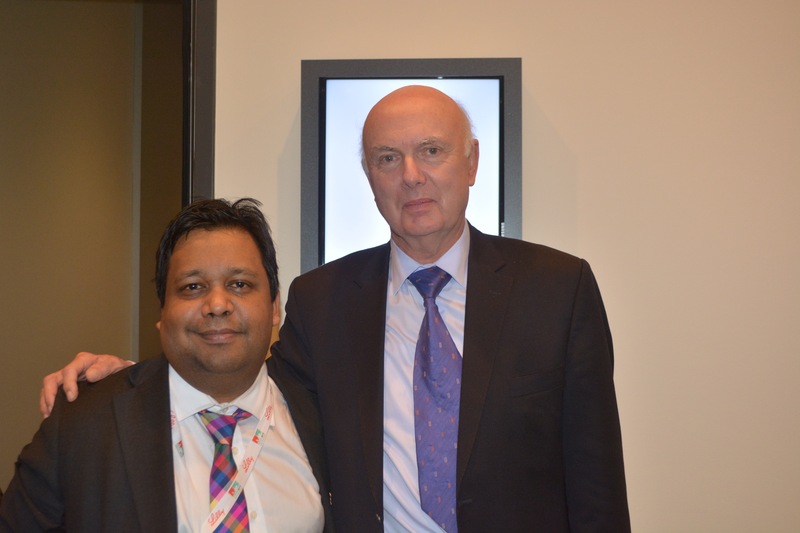 Thanks especially to Marc Wortmann for his kind remark about my (minimal) contribution to the #ADI2015. It’s dangerous to underestimate how Kate Swaffer has totally altered the terrain of attitudes towards dementia, in a positive way. Kate was diagnosed with the temporal variant of frontotemporal dementia, and the personal story is well described elsewhere. 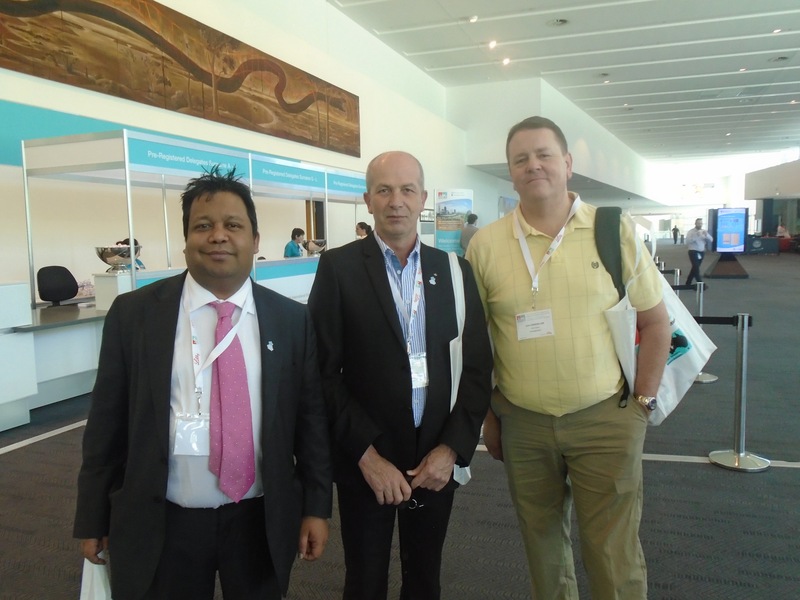 I travelled around Australia after the conference too with Chris, and I hugely enjoyed meeting John Sandblom (@jball49), Treasurer of DAI. We all basically agree John is a top bloke! 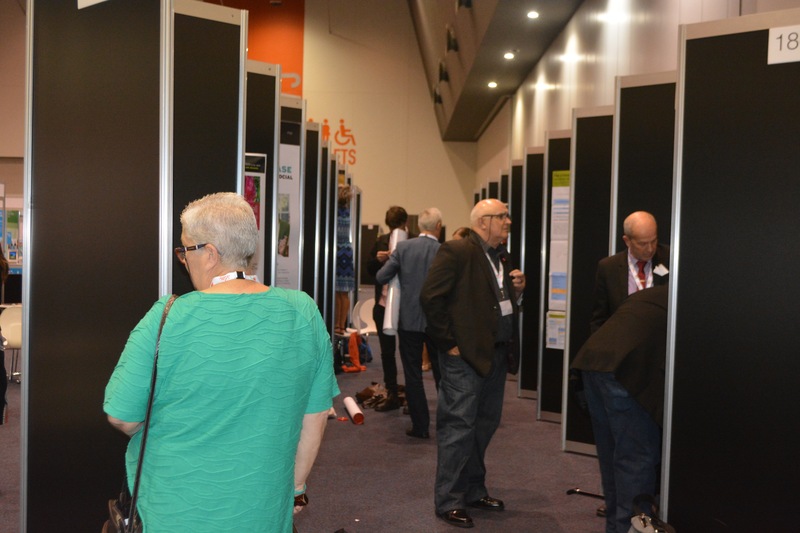 Here’s a picture of Chris Roberts, Mick Carmody and Sue Carmody having a look at the posters presenting the latest research into the dementias at #ADI2015. 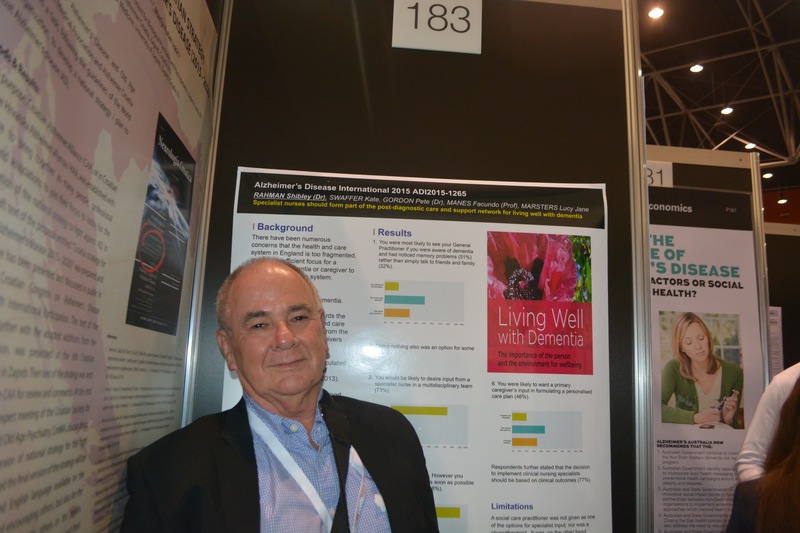 That #ADI2015 was successful in disseminating research to people living with dementia, comprising 10% of the delegates of the conference, I feel is a huge achievement. I found Daniella Greenwood entirely focused on what the needs of the people with dementia in the care sector are. In the Australian jurisdiction, persons are called “consumers”. Parking this difference in terminology, the plenary given by Daniella emphasised the critical importance of relationships, and I feel this is to be broadly welcomed, in her analysis of ‘consumer directed care‘. Chris was often to be seen manning the DAI stall in between satellites and plenaries at the Conference. But the atmosphere there was “buzzing”. We did enjoy each other’s company. I’ve known @TruthfulKindnes (@truthfulkindnes) for ages, living with a constellation of dementia symptomatology in the United States. One of Tru’s list of achievements has been acting like a conduit for the creative expression of many people living with dementia. She specifically mentioned, for example, the experience of visual hallucinations. 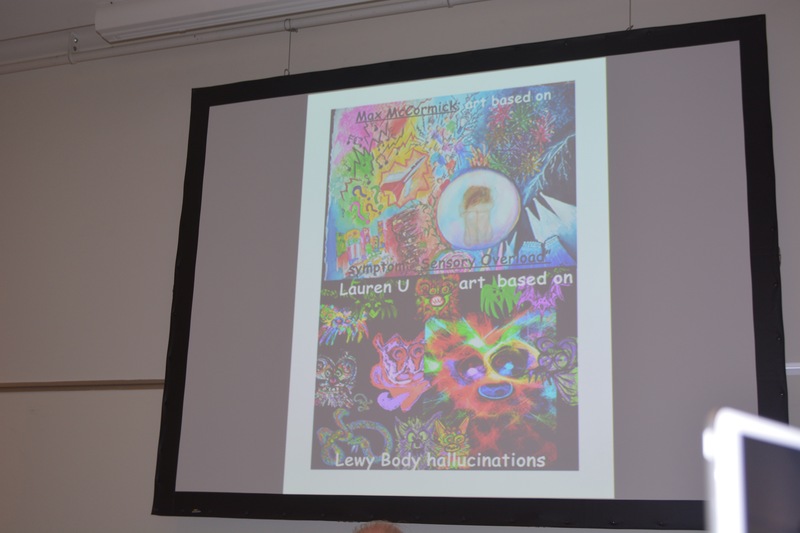 Visual hallucinations can be a predominant feature, for example, of the diffuse lewy Body type of dementia, an important cause of younger onset dementia, typically with a fluctuating way of symptoms appearing. 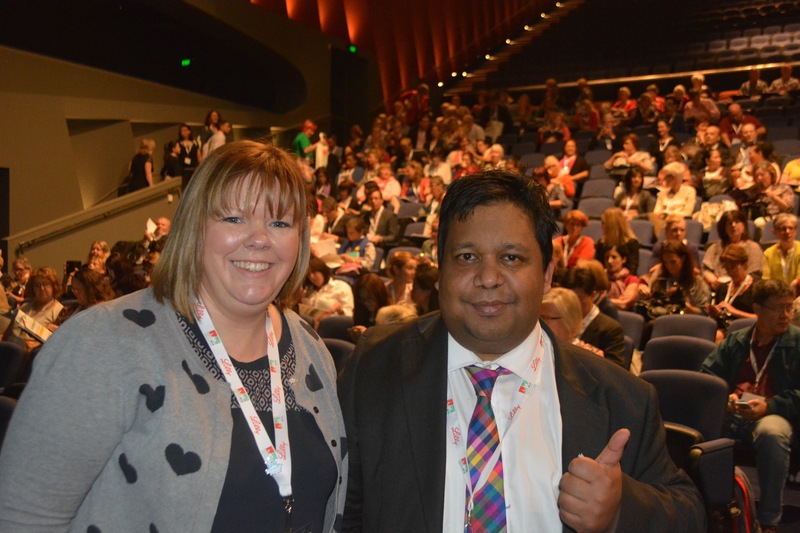 Having witnessed Tru’s desire to promote the work of people living with dementia, and her wish to use her gift in public speaking to inspire people, I know how important it was for Tru to make it from California to Australia to promote the experience of people living with dementia. Tru has a true gift for speaking, with perfectly modulated speech and content. Finding this hope to encourage others is deeply meaningful. Here, for example, is Simone Willig’s film (@SWHerborn) of Helga speaking about music therapy. This year there were some truly outstanding satellite symposia. One that springs to my mind was the one on employment and dementia. I contributed there on the need for a greater understanding of disability law by employers in terms of unfair dismissal and discrimination, consistent with Kate Swaffer’s talk there, and I urged the need for cognitive diversity in the approach from employers, resources permitting. 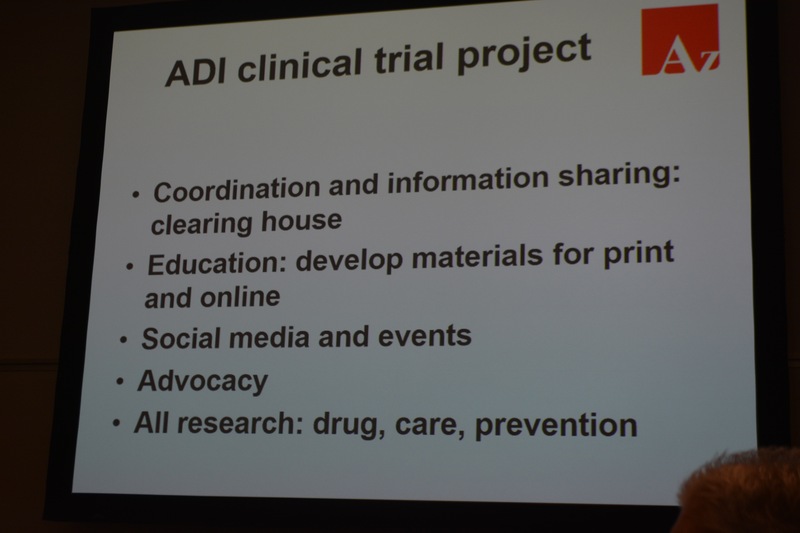 Research was a key pervasive theme of the #ADI2015, which took as its title, ‘Cure, care and the lived experience’. There was a keen sense of learning from each other, across jurisdictions. 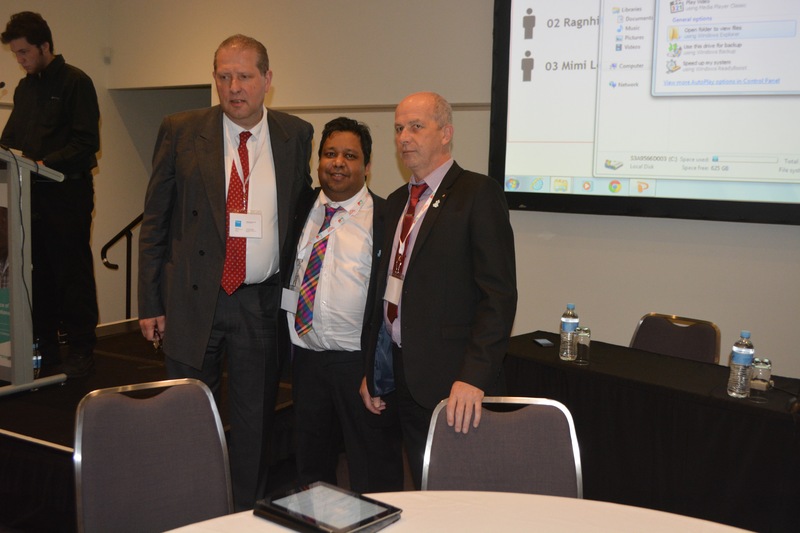 Again, I thank Marc Wortmann for his lead in the workshop I attended where Chris Roberts gave a powerful overview of the lived experience. Canada, I felt, offered an useful steer in this workshop on research. 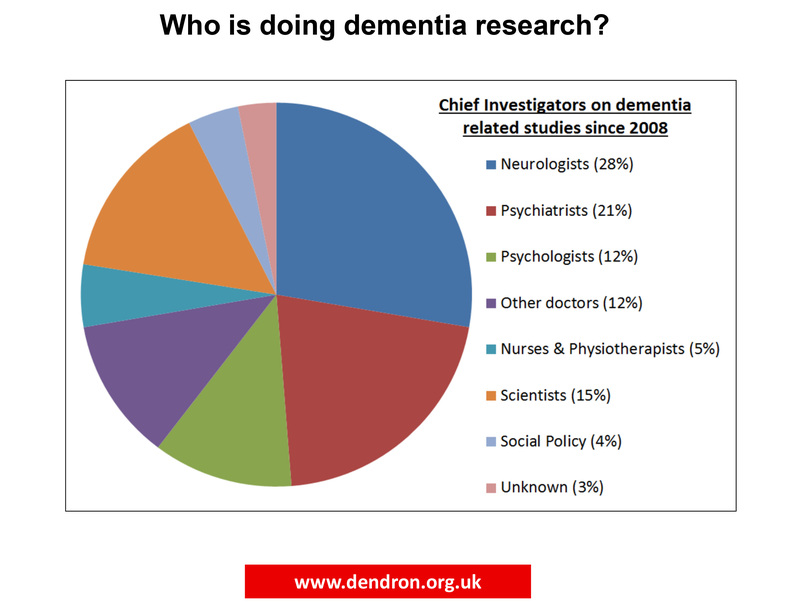 It is a remarkable testament to the solidarity amongst people living with dementia and people close to them that there’s a huge interest in dementia research; but this is, as many us feel, not just about testing new drugs like guinea pigs but a genuine interest in research in care and living well with dementia. Otherwise, in policy terms, I feel that living better with dementia becomes the ‘squeezed middle’ between prevention and the optimistic search for the cure by 2025. I was struck too by the inclusion of social media in this narrative. When a diagnosis of dementia is disclosed to someone, quite sadly often in a substandard manner by professionals, there is a clear impact on friends and family. I found the contributions from Jayne Goodrick (@JayneGoodrick) and Kate Roberts, Chris’ daughter, sensational, in telling delegates actually what is happening in real life. Tru devoted a substantial part of her talk in outlining the importance of the DAI, as well as her “swiss cheese” model of dementia. 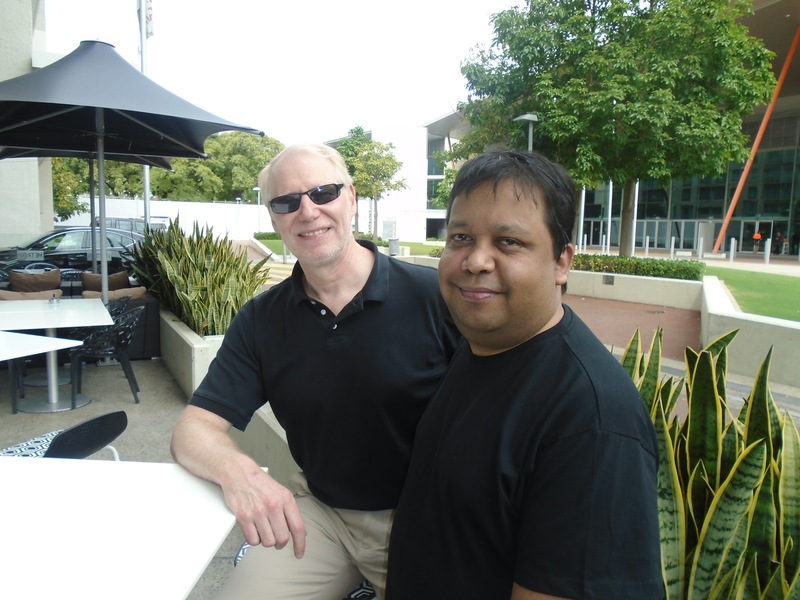 Completely by accident, I happened to bump into Glenn Rees (@Glenn_Rees), now Chair of the ADI. 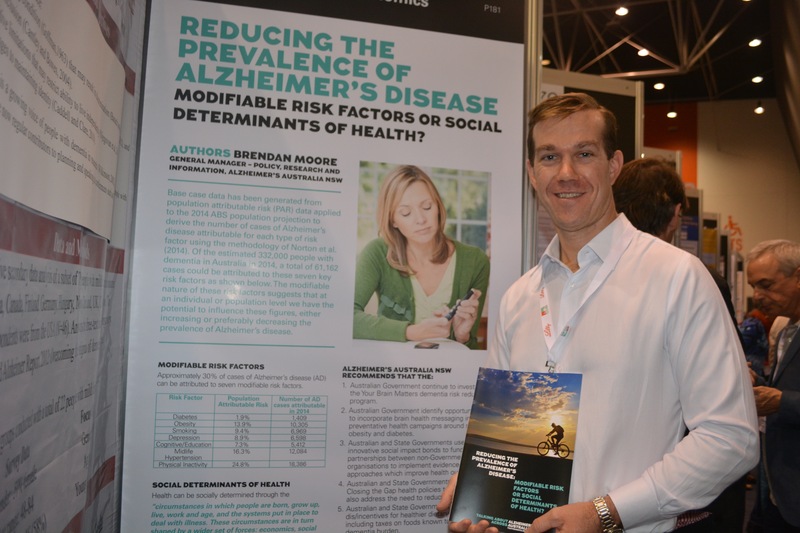 Everyone who has been following world policy in dementia is aware of Glenn’s remarkable steer of Alzheimer’s Australia, where he has been instrumental in promoting consumer views; and this has had a profound impact internationally on a number of arms of policy, such as campaigning against physical restraint, and campaigning against the inappropriate use of antipsychotic medication. 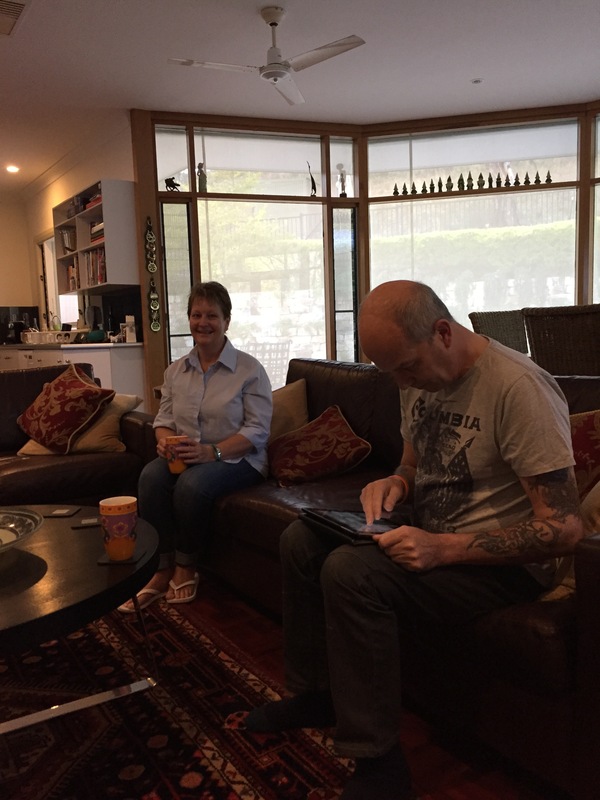 And it was incredible to meet for the first time ‘imaginary friends’, quite safe really, such as Jac (@JacintaLynch), here in Adelaide sitting with Chris. I don’t drink alcohol. The reasons for this are well rehearsed. But this did not stop me in any way loving the landscape of the environs of Adelaide Hills. Australia is of course well known for famous brand names in wine, and the Barossa Valley. 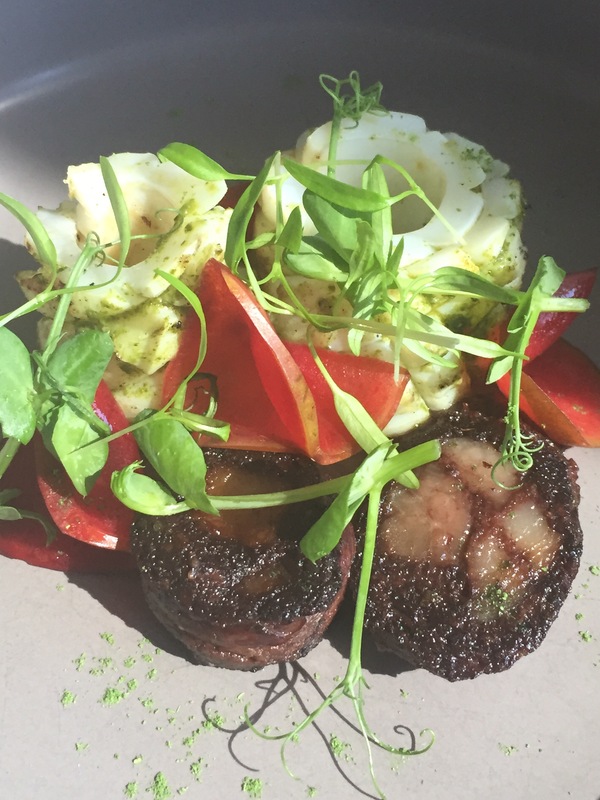 It, ironically, took me a journey all the way to Australia to appreciate ‘black pudding’. The proof of the pudding was indeed in the eating. I learnt to trust the restaurant judgments of Kate Swaffer, a pretty mean chef herself (here’s her culinary blog). 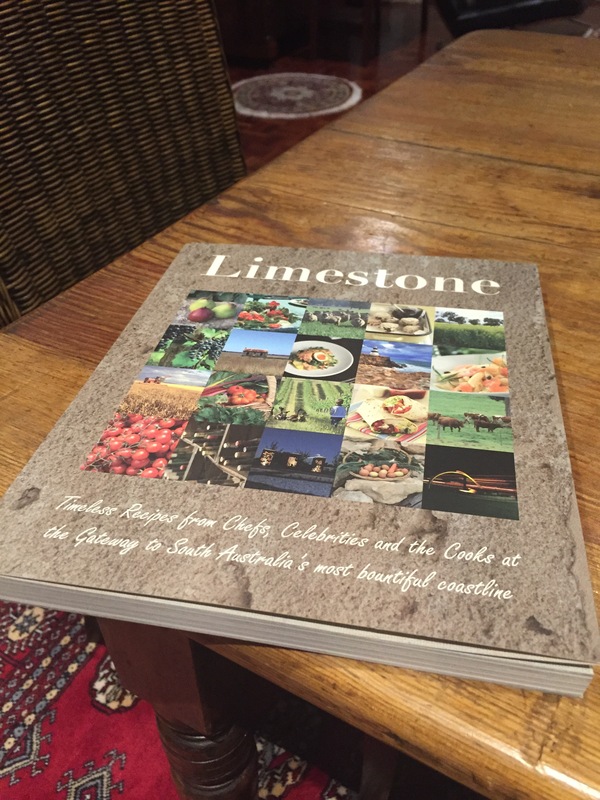 I don’t think Kate has the time to write a cookbook on top of her massive list of other commitments – but.. her work can be felt in remote areas too. 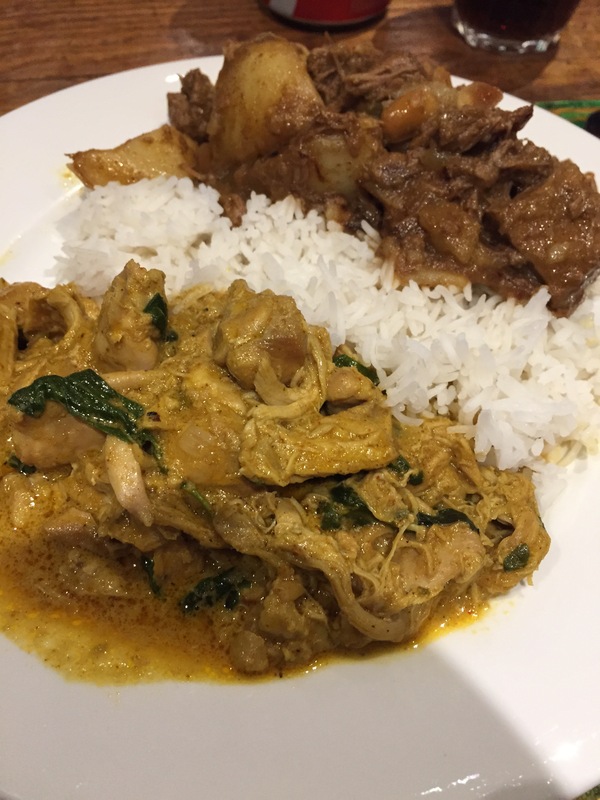 And – seriously – I have never eaten such a perfect Thai curry ever (the lower dish): cooked by Kate. 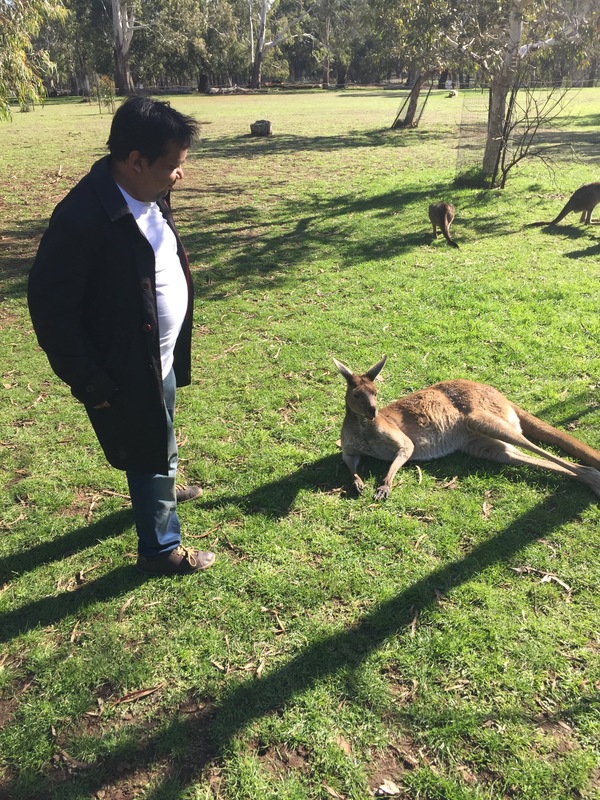 On a completely different matter, I learnt very many things in Australia; not least that kangaroos have big scrotums (sic). 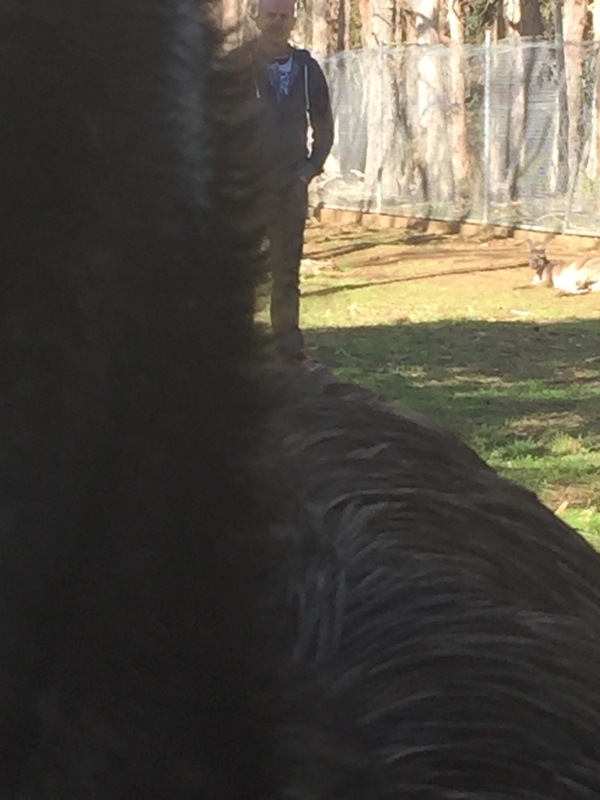 And that Chris can stand very close to emus, looking as if he’s in fact eyeing them up for dinner. One thing I certainly am thankful to Mick for is explaining how emus are bloody stupid creatures. 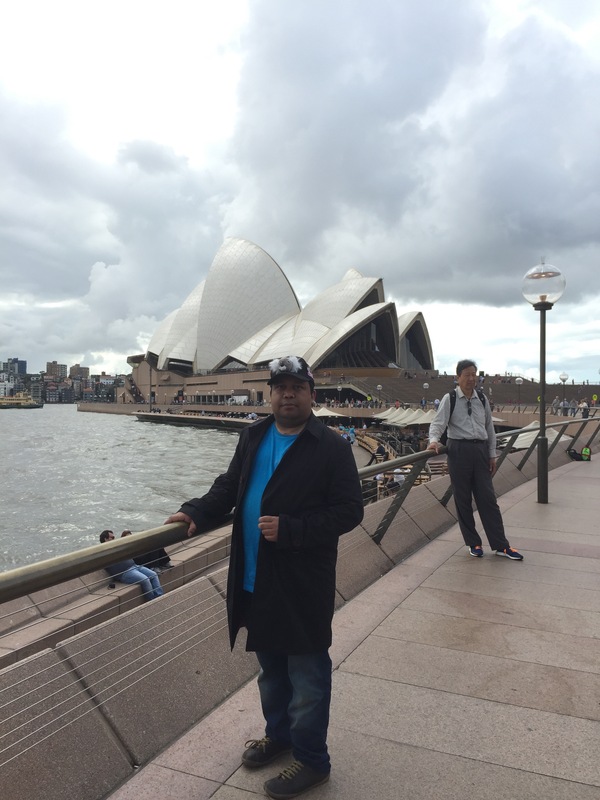 I didn’t know what to expect from Sydney after the conference. 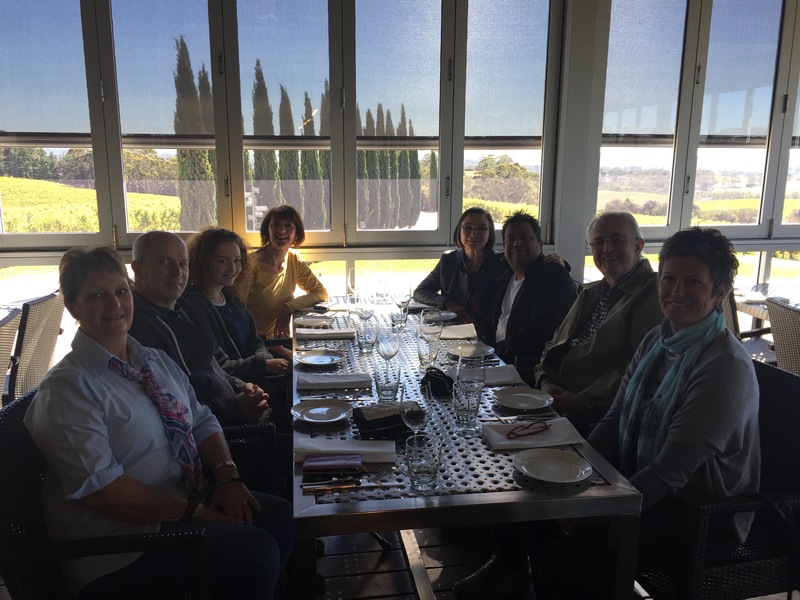 But it turned out to be amazing – I spent time with “guess who” (Kate) and new found close friends Lynda Henderson (@yodsupporter) and Veda Meneghetti (@Veda_Meneghetti). 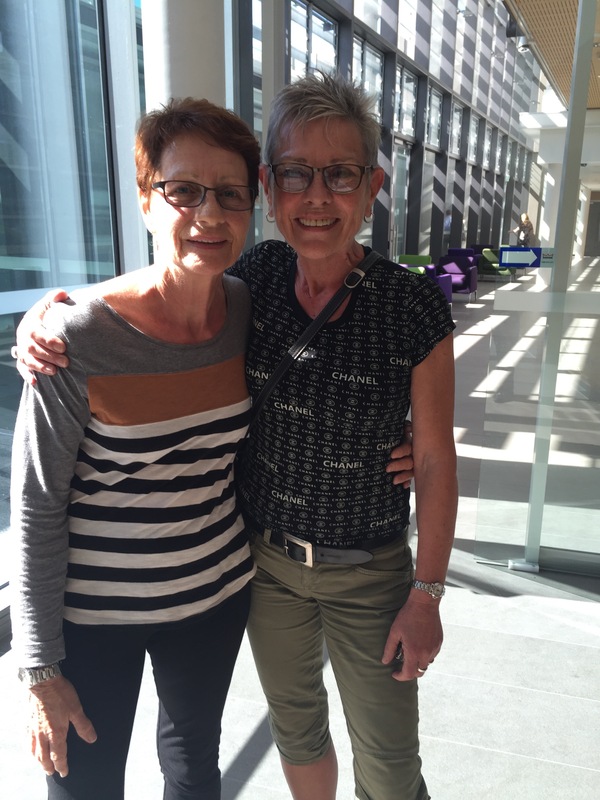 I have many happy memories of my time in Sydney – here are Veda (left) and Lynda (right). 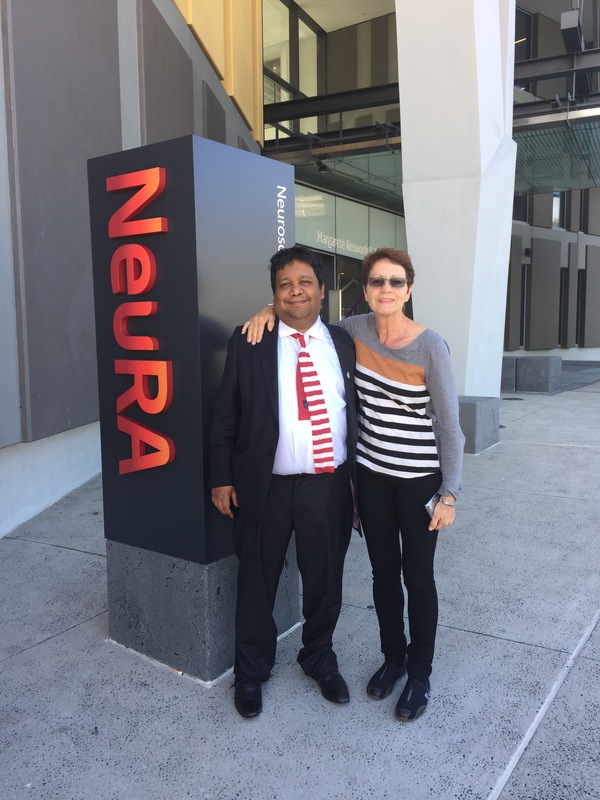 Veda is fast becoming a leading global ambassador for one of the lesser known of the temporal variants of frontotemporal dementia, the logopenic variant of progressive primary aphasia. She lives with it, and retains remarkable abilities from her life as a professional musician (aside: hence explaining the need for ‘life story’). It’s yet again a case of what people can do. Look at this – there’s no way I can sequence rhythms as well as this. In fact, my supervisor from Cambridge, Prof John Hodges, who also shares a professorial position with Neuroscience Australia (@NeuraAustralia) happens to be one of the leading neurological authorities on this important condition. I was really impressed with my visit to see Prof Olivier Piguet, a mutual friend and colleagues of colleagues of mine, Prof John Hodges and Prof Facundo Manes. 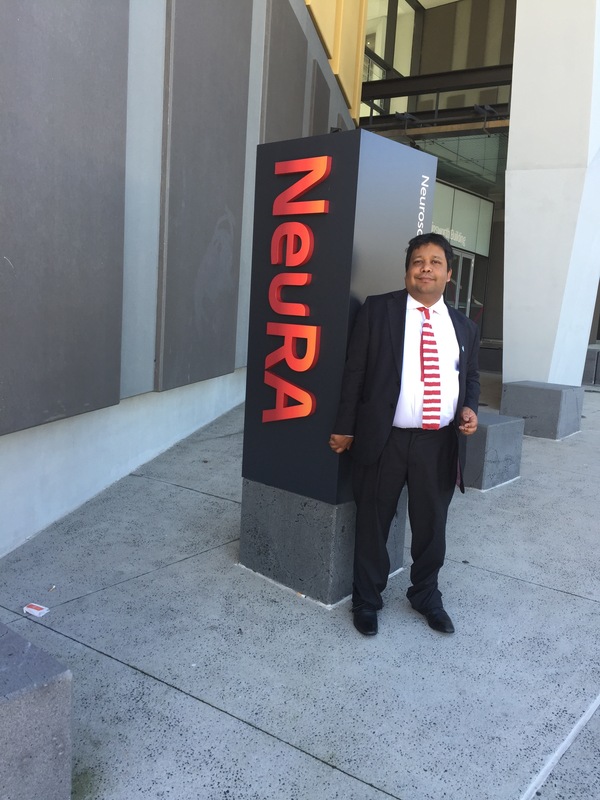 NeuRA, an innovative research hub in Australia, is something truly advancing the frontiers of cognitive neurology. Whilst I did not have time to go to the Sydney Opera House (I think Kate has seen the iconic ‘Carmen’ there).. I did have a very long chat with Prof Olivier Piguet. Olivier and I have the same strong interests in social cognition, the somatic marker hypothesis and the functions of the ventromedial prefrontal cortex, anticipation of future events, episodic memory and eating behaviours; the common link being the behavioural variant of frontotemporal dementia. This is of course what I specialised in for my PhD at Cambridge. It is nice to be involved with promoting research in dementia, if only at a global level and not in this jurisdiction (England). I am not, however, convinced that a US baseball cap is the best way to do this for me? I also discovered Olivier is much taller (and wittier!) than me! Places like NeuRA do inspire me. They should inspire the rest of the global research community in cognitive neurology too. And Veda, it turns out, was buzzing about the work of NeuRA. 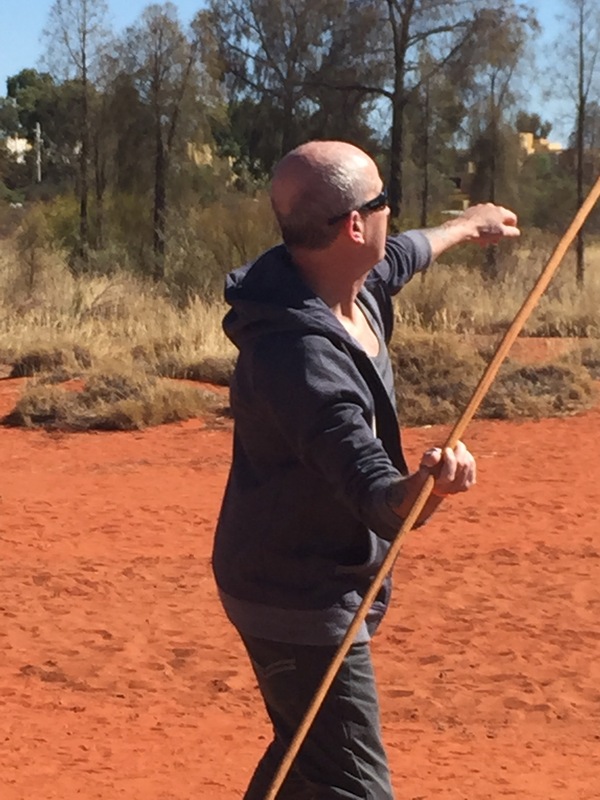 Chris, it turned out, was amazing at throwing a spear as in Aboriginal culture. 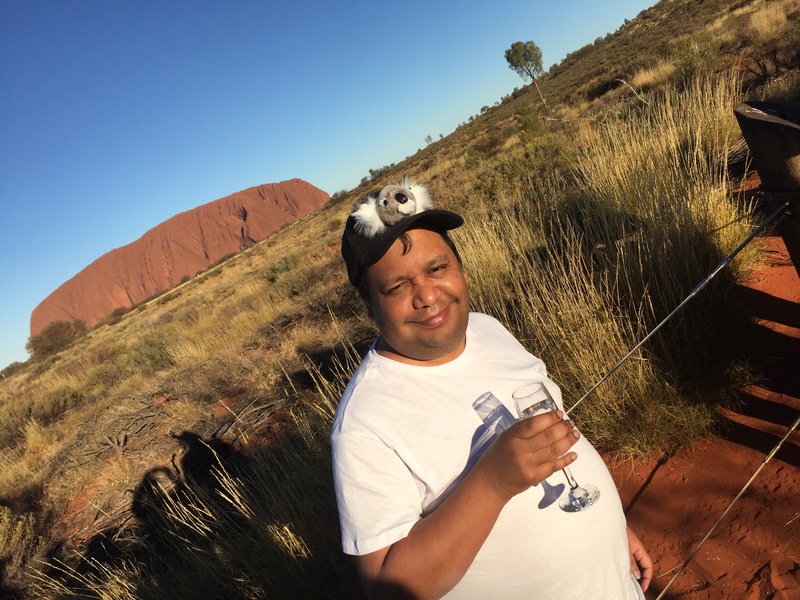 He did far better than the other visitors at Uluru, but of course it wasn’t a competition. When I delicately asked Chris how he came to be so proficient at throwing spears, he explained that he used to enjoy throwing javelin in school sports. So again it’s about what you can do – and I can’t throw a spear with my chronic double vision! Chris, a leading advocate for living with mixed vascular and Alzheimer’s disease, was pretty good at boomerangs too. 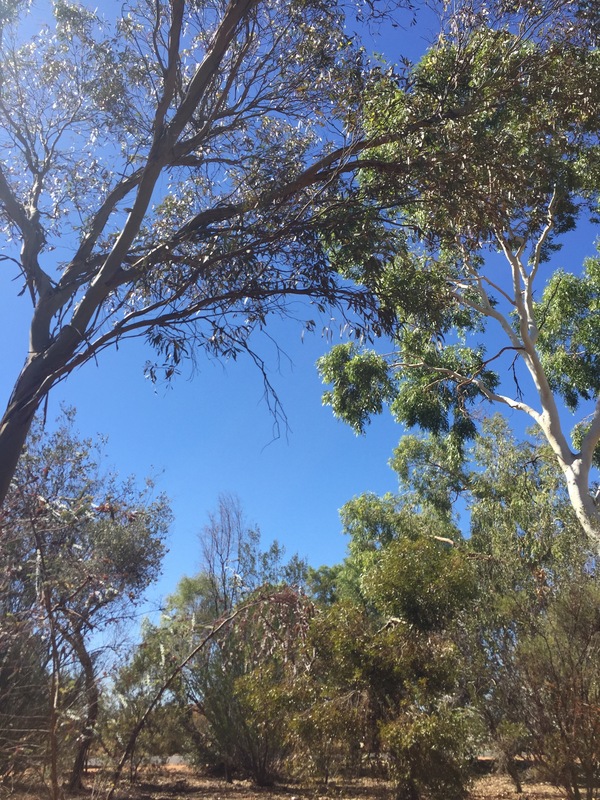 The landscape around Yulara Drive (and Uluru) was simply gorgeous. 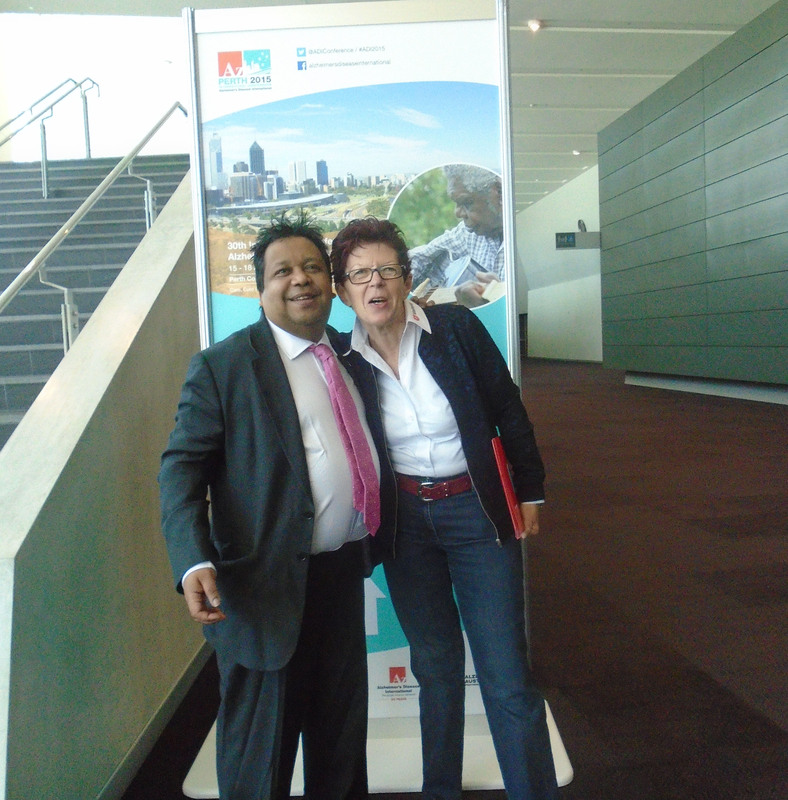 This per se of course is nothing to do with #ADI2015, but conveyed the flavour of hope and happiness that was present at #ADI2015. Chris, Jayne, Kate and I watched Ayers Rock change colour. Jayne in fact recorded a remarkable time lapse video of this. Chris taught me how to take photos of people; consisting of 2 eyes and 1 ear. 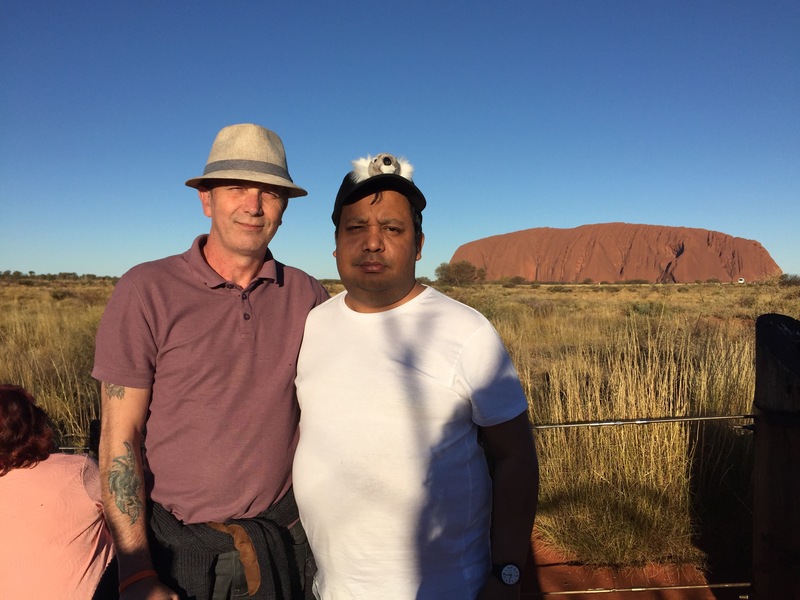 Ayers Rock gave us plenty of time to think about the beauty of Australia. 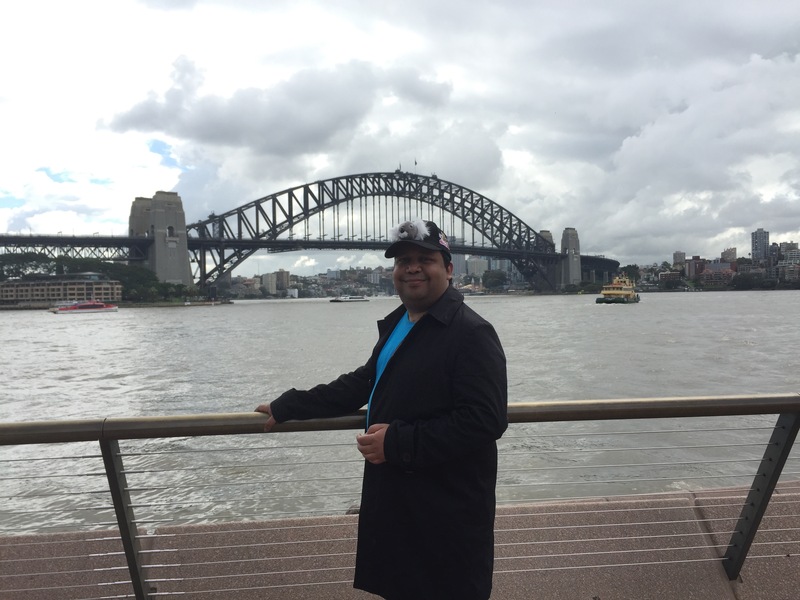 But we had to ease our way back to the real world in a thud, albeit via a 4.5* hotel in Sydney near the international airport. Currently, there is quite a lot of convergence in mutual research interests. Here for example is output from Alzheimer’s Australia taking as a spotlight prevention and social determinants of health (discussed in my new book). 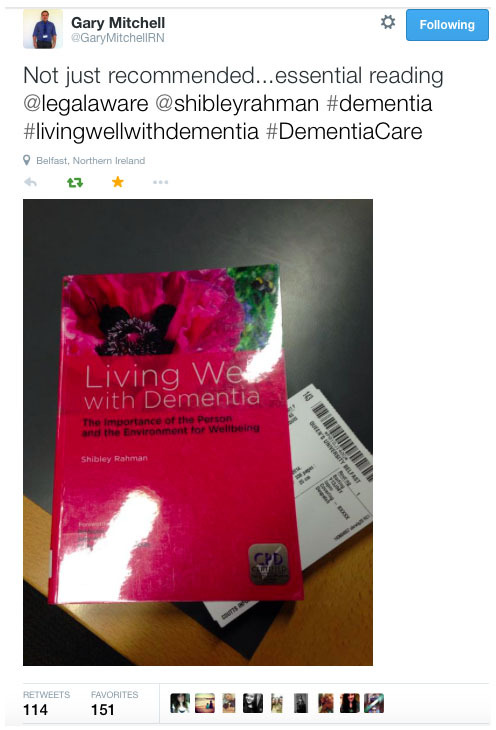 This was my old book ‘Living well with dementia‘ (from 2014), which I didn’t “flog” at #ADI2015 (though many were well aware of it, which humbled me.) The large poppy on the front is courtesy of, and photographed by, Charmaine Hardy (@charbhardy). I myself met ‘virtual friends’, such as @JoanneAgnelli whose work on language and dementia is widely respected. 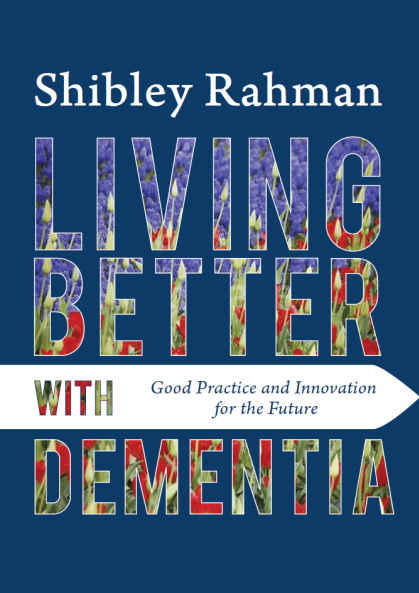 My new book (“Living better with dementia”) is significantly more discursive than the last one, and should be published around 21 July 2015. Thanks very much to Jessica Kingsley for publishing it. 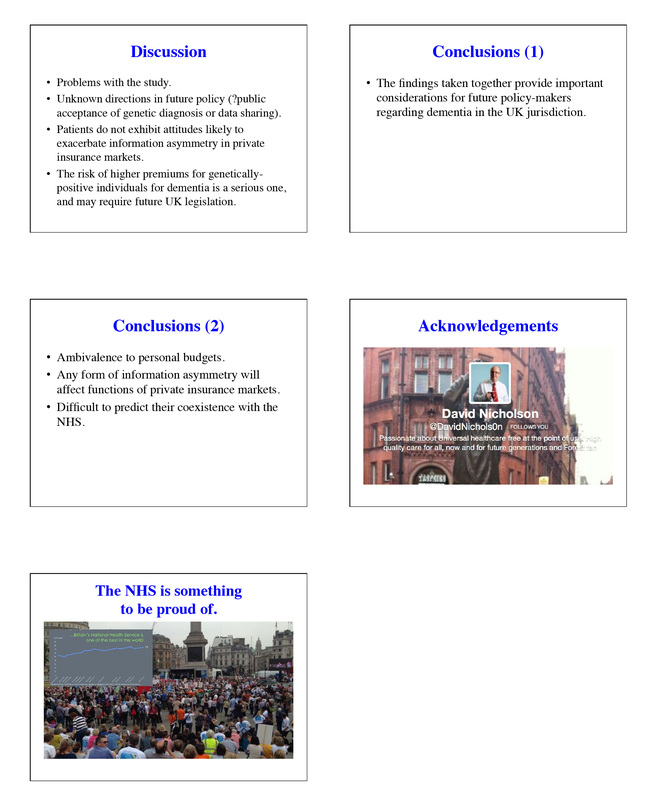 It contains a chapter on whole person (integrated) care, which is due to reach a prominence, hopefully, after the UK’s general election on May 7th 2015. The ‘stub’ will give you a flavour of the topics I will cover. It more than nauseates me when I see undisclosed conflicts of interest. It makes me violently pissed off. 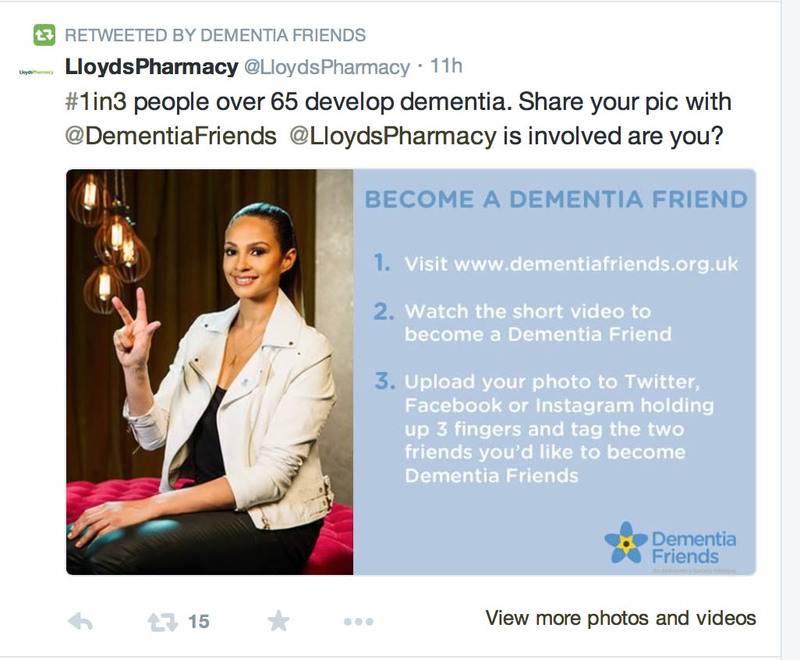 I don’t like it when Big Charity does not disclose that a document promoting early diagnosis of dementia, without calling for better resources for workforce training or post-diagnostic support, was sponsored by a drug company. Conflicts of interest are not necessarily materially significant, but it is for members of the general public to judge. The Declaration of Helsinki makes it patently clear that negative results should be published as well as positive results. 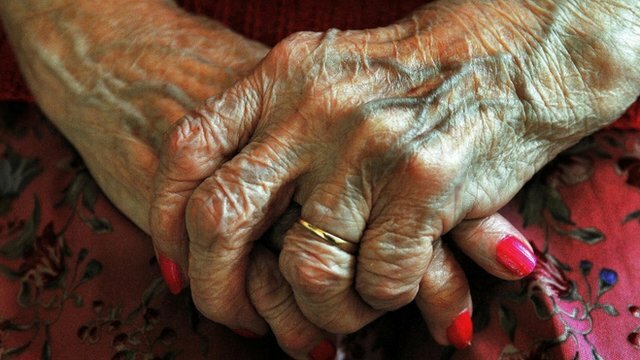 There’s a fundamental problem with the case for screening for Alzheimer’s disease. Even if there were an inexpensive reliable test which is sensitive to early deficits in cognition in people with early Alzheimer’s disease, and that test is not sensitive to other medical conditions such as pure unipolar depression, the case for screening cannot stand. This is due to two reasons. The track record of Big Pharma in finding a cure for Alzheimer’s Disease in the last two decades at least has been abysmal, whether you’re talking about symptomatic treatment or slowing of progression for a meaningful number for a meaningful time period. Secondly, and equally significantly I feel, is that we simply don’t have money going into what living better with dementia might look like – where for example are trials into looking at GPS tracking systems for people with dementia, or for music improving quality of life? I am in fact in the 1%, but not in the traditional general election sense. I am the “other” that does medical research. I am regulated on the medical register, but do not get paid in any form for the research. 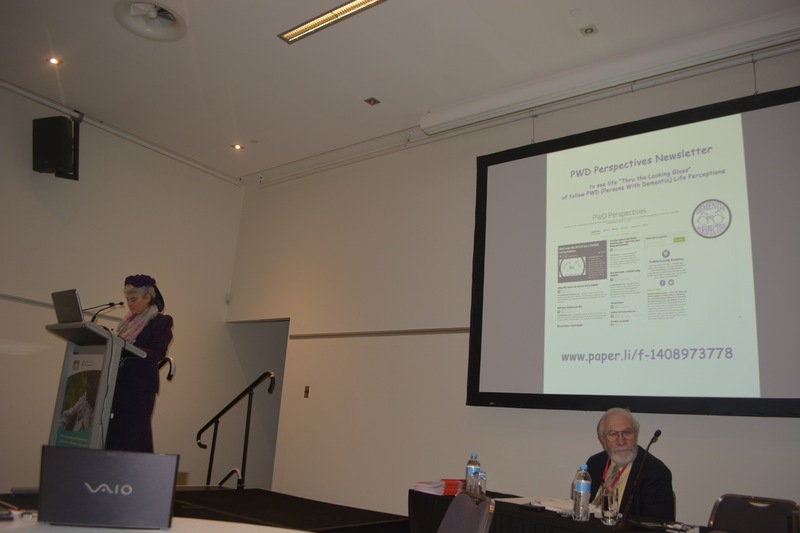 And yet I have presented on my own at Alzheimer’s Europe and I am about to present at the Alzheimer’s Disease International conference in Perth later this month. But there’s point in rubbishing what I do. 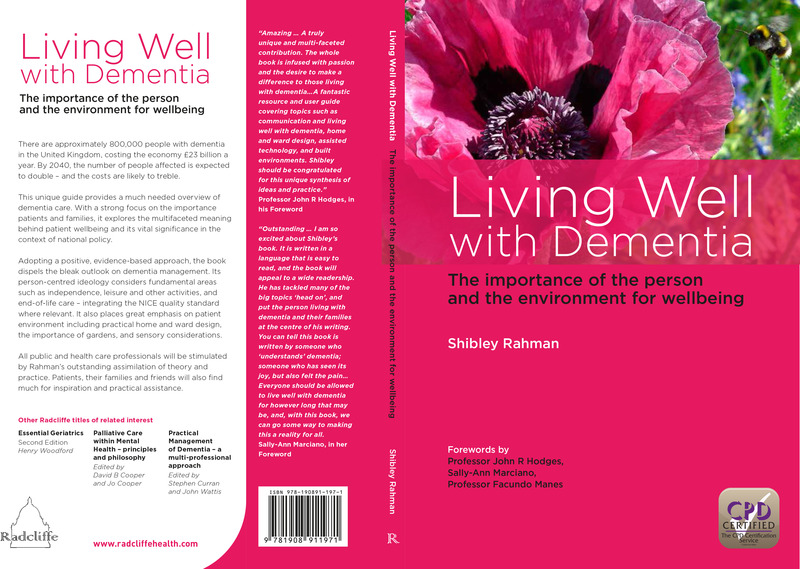 I have published one book ‘Living well with dementia’ last year, starvation in the midst of plenty bookwise, meaning that there are few evidence-based books on wellbeing in a climate where there’s no shortage of funds for research apparently. I am about to publish another. 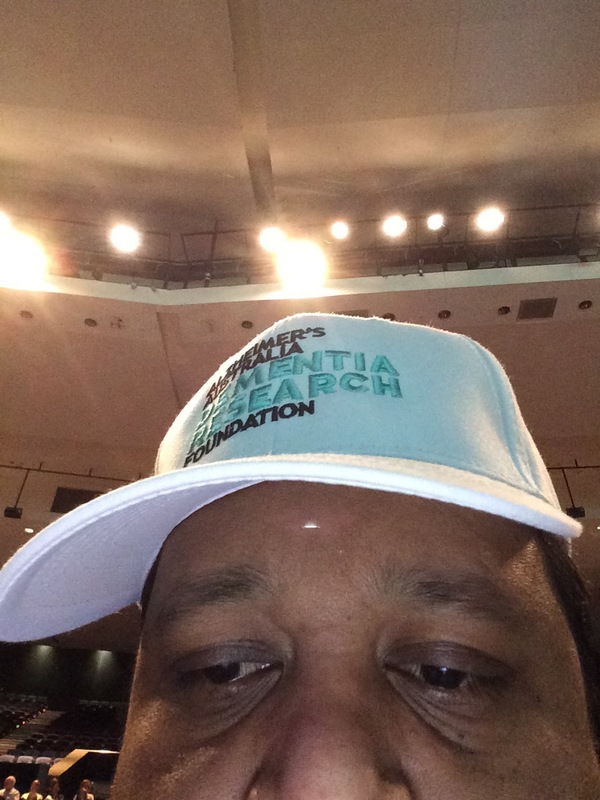 Even though I get no support in doing so, I actively promote research into dementia. That was a half-truth, in fact. 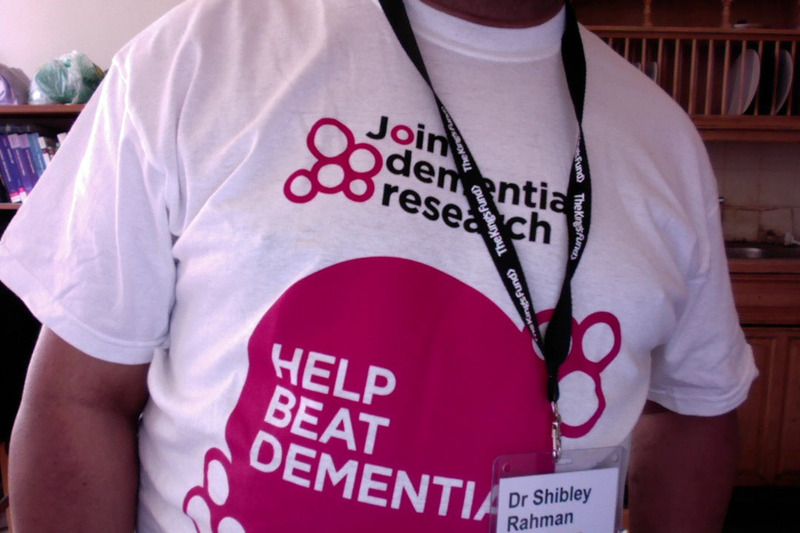 I once got a free T shirt, and I actively promote research into dementia. There are people in this country whose energy I could never match – such as Chris Roberts, Tommy Dunne, Agnes Houston, Tommy Whitelaw. There are people abroad who are utterly amazing. I won’t embarrass them by naming them. And frankly I couldn’t give a damn about people with long titles and important positions who proclaim themselves as ‘experts’ into dementia, whose self-righteousness I can spot a mile off. It is not hyperbolic to say that this self-congratulation is to some extent justified by me having a huge return on investment – that is, my return on investment is astronomical given that I do not receive any grants. Many people with dementia, and people closest to them, care about my research, and I care about that. 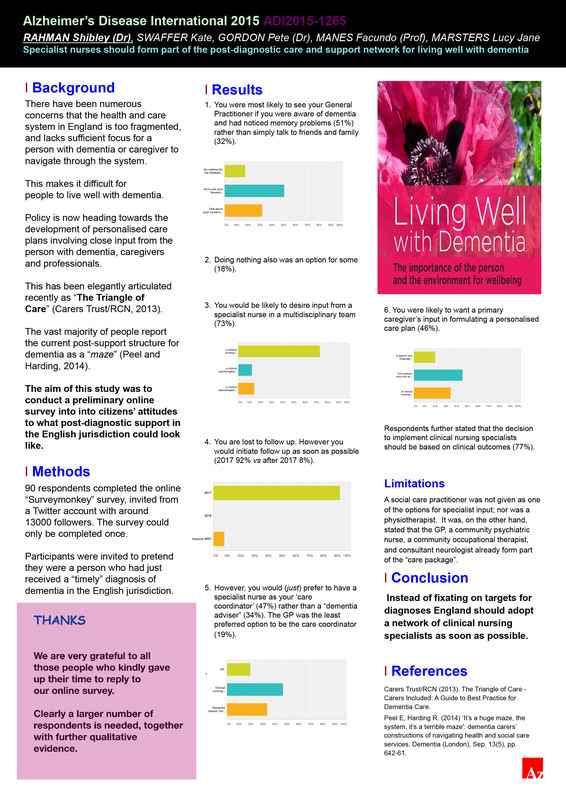 I will be presenting two posters on attitudes amongst the general public towards the ‘G8 dementia’ event as it was then. 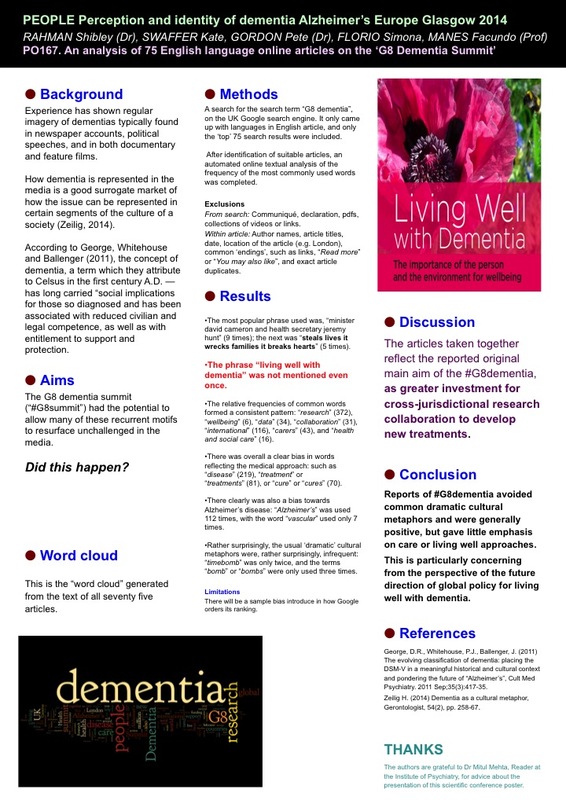 I was aghast that out of 75 web articles that the phrase “Living well with dementia” wasn’t used once. There was a huge bias towards the medical model of dementia. 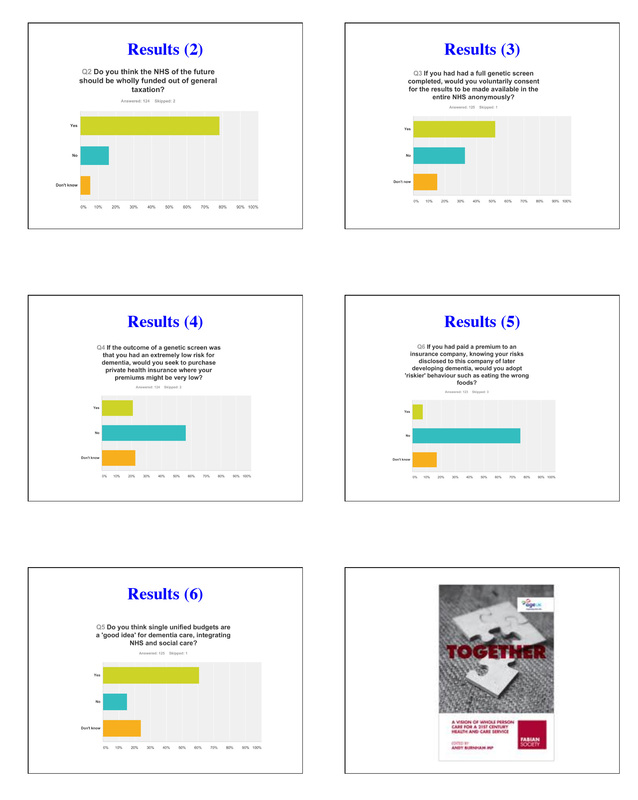 Respondents overwhelmingly felt that the major beneficiaries of that event were large charities, politicians and Pharma, and the people who benefited least were the actual persons living with dementia and caregivers. 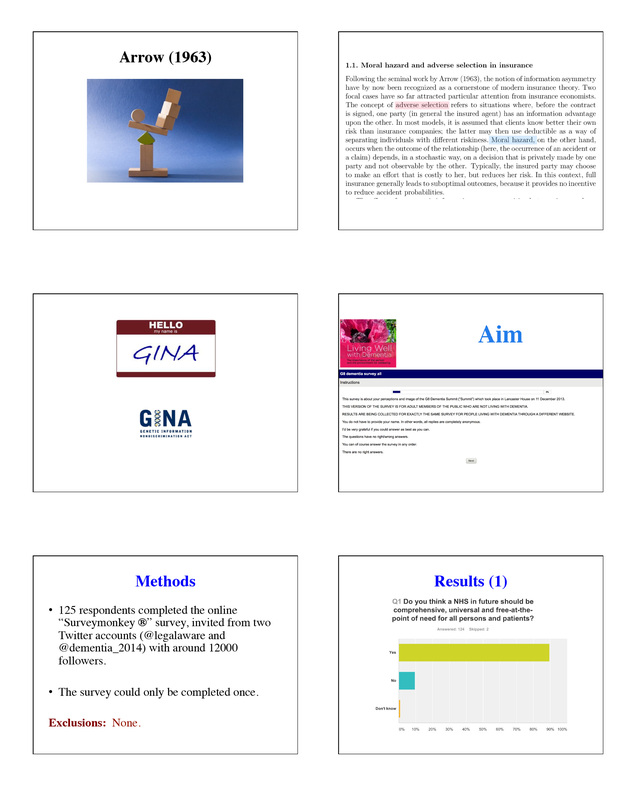 I am honoured to give one of the oral presentations. Information asymmetry between insurance provider and person is a big source of problems. I will showing preliminary data that the two phenomena “moral hazard” and “adverse selection” are likely to be demonstrated in attitudes of people who had received a genetic diagnosis of dementia. However, I will be raising awareness of the danger of a policy based purely on genetic risk and private insurance; without safeguards against genetic discrimination, such a policy would be likely massively to disadvantage individuals with a higher family-based risk of dementia. I am hugely grateful to my Twitter followers for taking part in my online surveys. I am, finally, hugely grateful to the individuals living with dementia and caregivers, as well as other members of the public, who continue to drive the work that I do in dementia. 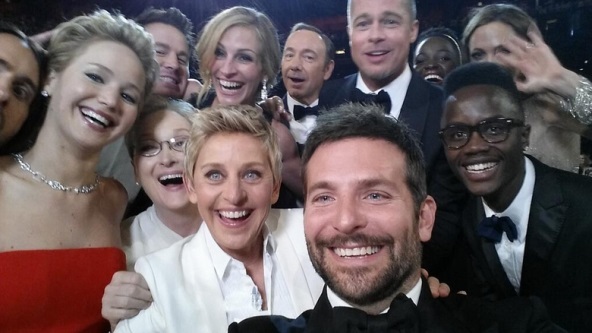 This was the famous selfie from the Oscars which went viral all over the internet, partly thanks to social networking sites such as Twitter. 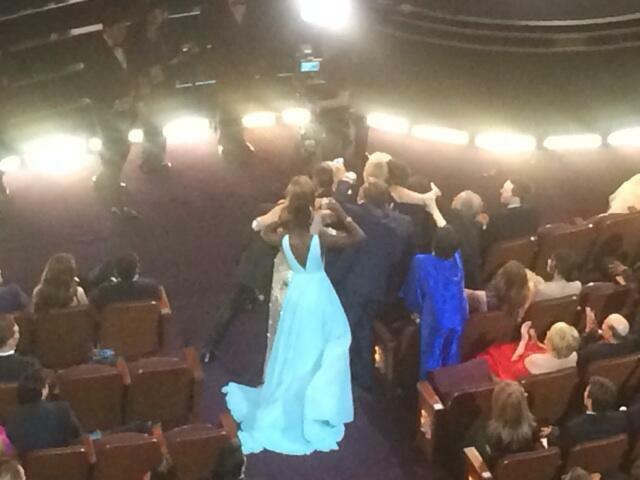 But this snap photo explains why Liza Minelli was unable to make it. That things might not be quite as they first appear is nothing new. 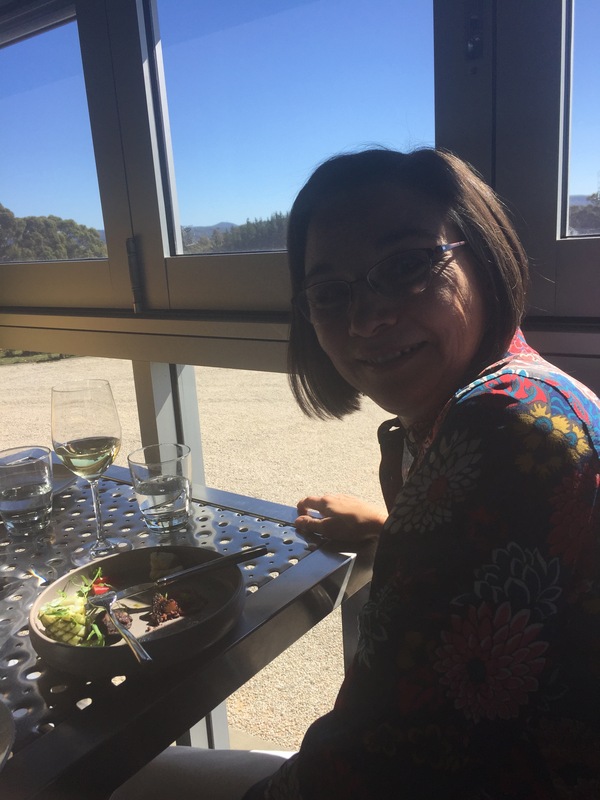 Kate Swaffer (@KateSwaffer), living with dementia in Adelaide, has remarked in the past how she feels like a duck all serene on the surface, but paddling really hard underneath. The co-production of public services has been defined in a variety of ways – e.g. “Co-production means delivering public services in an equal and reciprocal relationship between professionals, people using services, their families and their neighbours” (New Economics Foundation). Or in the alternative, “the public sector and citizens making better use of each other’s assets and resources to achieve better outcomes and improved efficiency” (Governance International). Research into dementia, more so following the G8 Dementia Summit, has been dominated by analysis of Big Data genetics with a view to ascertaining risk pools and personalised medicine, possibly means for asymptomatic screening or early detection, and new pharmacological interventions. The amount of resource allocation put into this some might say has not been matched by the successful outcomes from this research, though the corporate capture in the large charity, politics and media are well known. But I believe strongly research into quality of care, or indeed living well with dementia in support settings, should not be regarded as ‘inferior’. Careful research attention should be put into assistive technologies, assistive living, the innovation culture, design of wards and homes, and, of course, how you measure living well in the first place. Co-production, however, offers a chance for people with early dementia to be able to shape the services for care, as well as to shape research. I have latterly become involved in a crowdfunding campaign where I explain the critical importance of decisions for a person with dementia in the science of dementia as well as the implications for our law on mental capacity. But I also want this to initiate a dialogue between people with early dementia and other interested parties with the law and neuroscience, and other possible stakeholders such as the NHS. I’m mindful that my book ‘Living well with dementia’ does look through the “personhood lens” – a lens which has done much to challenge the stigma and discrimination associated with dementia – and some people don’t like that. Darren Gormley (@mrdarrengormley) immediately pointed me to an area of work, in particular a paper called “From personhood to citizenship: Broadening the lens for dementia practice and research” by Ruth Bartlett and Deborah O’Connor in Journal of Aging Studies 21 (2007) 107–118. The need to promote citizenship, as well as personhood, is beginning to be recognised within the dementia care literature, and I am hoping that this with an emphasis on living well with dementia will percolate into the research arena too. 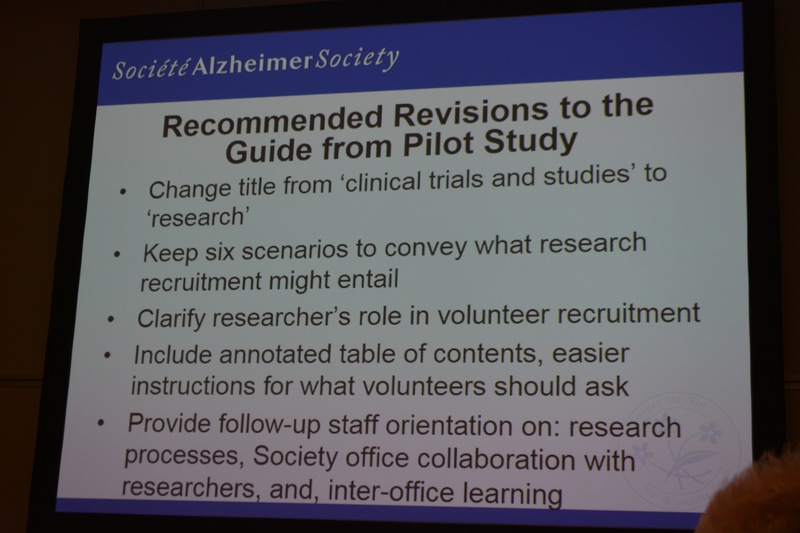 A result of this shift is that, gradually, research has begun to emerge aimed at capturing the perspectives of persons with dementia. 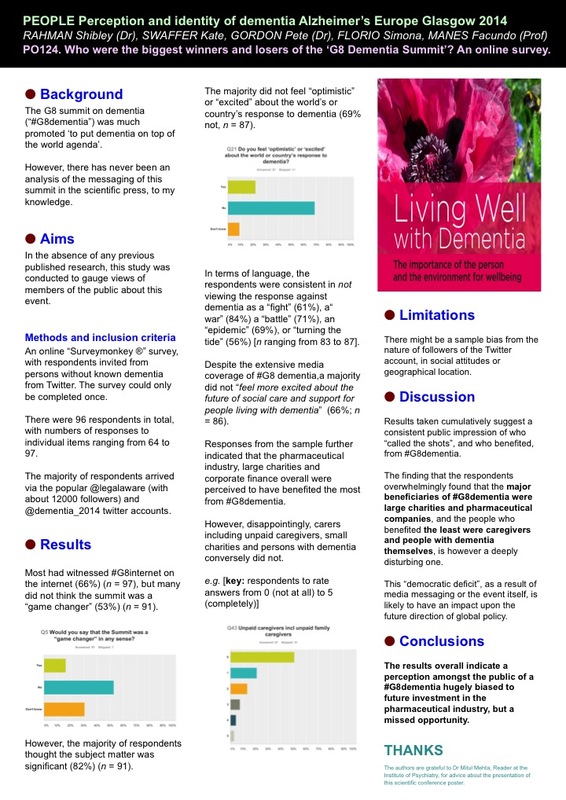 This body of research now clearly documents that persons with dementia are often quite aware of their situation, and can contribute important and unique insights about their experiences and needs. I have often whinged about the word ‘sufferer’ so I was particularly interested to see the authors make the following remark. However, my own particular interest is research for dementia, so this intrigued me massively since, if you pardon my phraseology, some of my best friends live successfully with dementia. And that for me is the issue of a two tier nature of who decides research agendas in practice. Kate Swaffer and I often discuss behind the scenes our concerns about ‘tokenism’, both from quite different personal viewpoints but with similar themes. How things appear might not actually how they are in reality. Ruth Bartlett, to her credit, has also developed a ‘toolkit’ draws on my experiences of using diaries for research into the lives of people with dementia who campaign for “social change”. Like the famous selfie at the Oscars. I really had not intended to start a ‘social movement’, but this is in fact exactly what I wish to do now. And I’m clearly bound to be very happy that currently there’s a massive ESRC grant looking into this. This also has profound implications for service development for dementia consistent with the current trajectory. A rhetoric of ‘user involvement’ became a central part of NHS policy during the establishment of the Community Health Councils in 1973. This had continued through the proliferation of “New Public Management” principles and the growing importance of measures of satisfaction in the 1980s. The NHS and Community Care Act  established a formal requirement for service user involvement in service planning. From 1997, patient and public involvement were a central tenet of New Labour’s NHS modernisation agenda, and the NHS Plan was committed to creating a patient-centred NHS with user needs at the centre of service design and delivery. I dare say all of this will be known to Simon Stevens, incoming head of NHS England and one of the key-architects of the NHS Plan. Arguably, the roots of the phenomenon of ‘experts by experience’, potentially an abreaction to the medicalisation of mental illness, can be found in a history of mental health activism as far back as 1620, when inmates at “The Bedlam Asylum” petitioned for their rights. After some initial disgruntlement, I’ve now decided I would never dream myself of being an ‘expert’ in anything to do with dementia, but rather a well-informed enthusiast. People living with dementia and all carers including unpaid caregivers are the real experts. The somewhat political term “survivors” refers to those who have survived not only their mental health difficulties, but also experiences of psychiatric services, and/or the accompanying general social exclusion. Or you can the viewpoint, particularly if you’ve been influenced by some, that ‘users’ of mental health services are ‘consumers’ and help to design them. This is of course all very timely. The Kings Fund have recently published its interim report from the “Independent Commission on the Future of Health and Social Care in England” by Kate Barker and colleagues. A lack of co-production possibly caused the problems in entitlement and funding which meant Sally (@nursemaiden) was at the receiving end of a bad experience of services looking after her father who was living with dementia. @RichardatKF @legalaware Thank you Richard I still feel at times I let him down that I should have fought harder against the system. In fact Sally has written about this in the Foreword to my book. What unites both the consumerist subject position of service user and the position of “survivors”, is that they are both legitimised by virtue of their experiences of mental distress and/or of service (ab)use, and seek progressive developments in the treatment, perception and governance of the experiences of mental health. I’m one such survivor, as I’m in recovery from alcoholism for seven continuous years now. I also live with physical disability. It’s not enough merely to ‘involve’ carers though; carers patently need to be involved in research as without them the entire service would collapse. And carers themselves often need support, over all sorts of health issues, legal or financial matters. It’s also essential to ‘involve’ people actually living with dementia who may or may not have some similar concerns, and some different. But ‘involving’ is not enough. I feel passionately that people with early dementia should be given the power and control to shape the research agenda in their interests, such as the brilliant work by Ruth Bartlett. 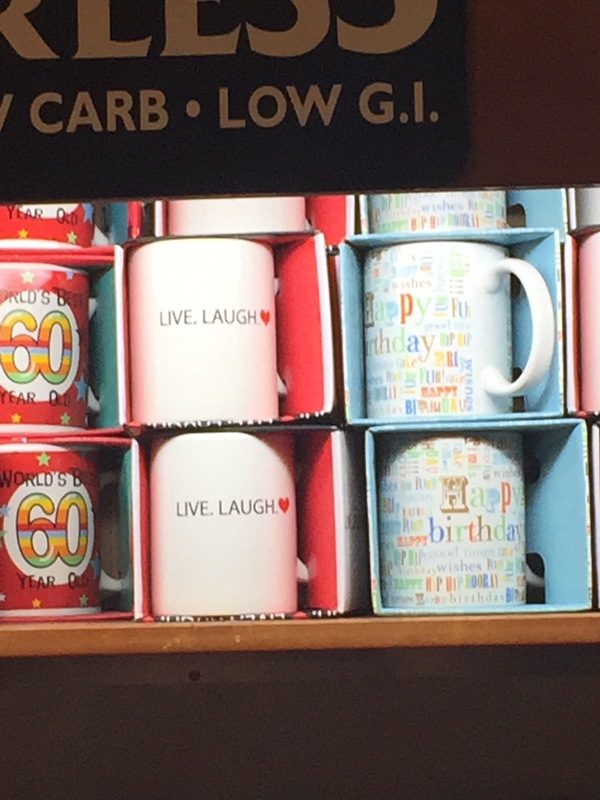 This may or may not include living well with dementia: that’s not my choice, but I’m pretty sure I know what the answer might be. Otherwise, ‘co-production’ is merely an illusion of involvement, and as regards living well with dementia is not at all what it seems. 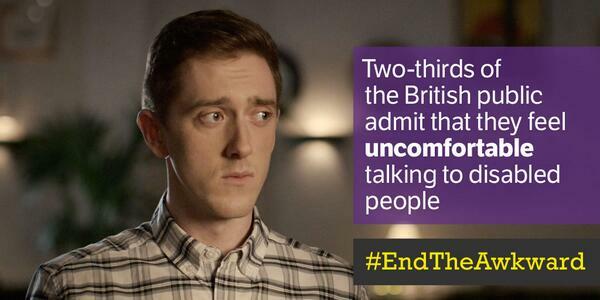 Suffice to say, I am not afraid about shouting loud about this on behalf of people living well with dementia.